Okay, this is a cheater post, because all the pictures are from 2008. 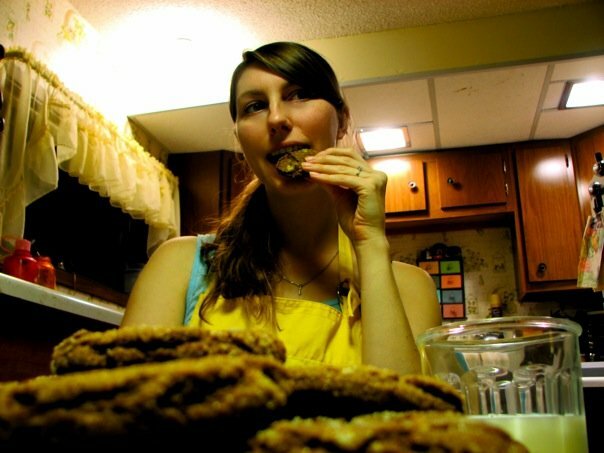 Ben and I hadn’t even been married a year, and I decided to make cookies. Okay, I make a lot of cookies. More specifically, I decided to make cookies and document it. This was before “Foodie Blogs” were a thing (or maybe they were a thing, but I certainly hadn’t heard of them yet). This was definitely before Pinterest, but after Facebook. 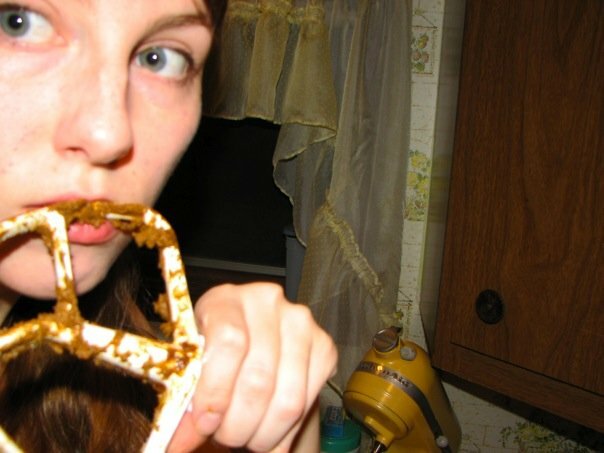 So my artsy-fartsy little self had decided I would document the cookie baking process and make a facebook album. We lived in this adorable little walk-out basement apartment that we rented from Ben’s grandparents at the time. It was wonderfully outdated, with green shag carpet, and yellow-planter-patterned wallpaper in the kitchen. 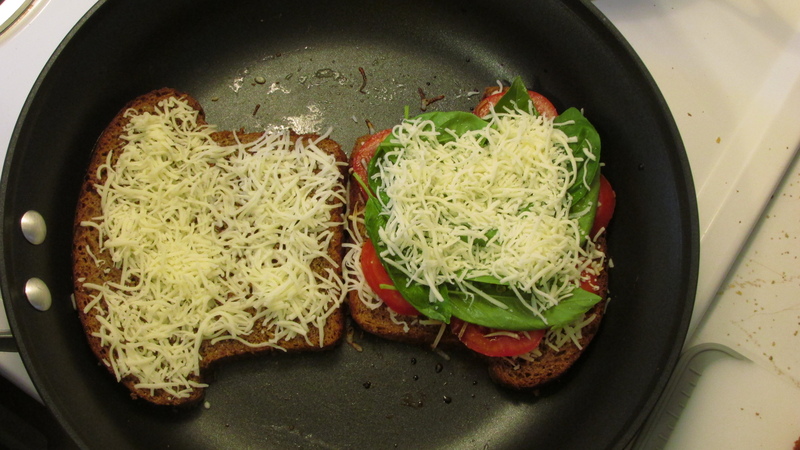 So here ya go, since it’s #ThrowBackThursday, it just feels right to share my first baby step into the wide world of Making Food for the Interwebz. You want to make sure that orange peel is good and clean, even wash it with soap. and rinse and dry it well. Because who knows what that peel has touched from field to grocery store to checkout counter with raw-beef-drippings on the conveyor belt, and this is going in your food that you or someone else will eat. I’ll pass on the random shopping cart germs, thankyouverymuch. Anyhow, hold your orange in one hand and the grater in the other, simply slide the grater along the orange in one direction. This baby doesn’t work back and forth (just like a cheese grater in that regard). Also, watch your fingers. You won’t lose a digit, but you might alter your fingerprint if you’re not careful. Do this all over just until you start to see the white pith of the orange. That part is bitter and gross and we don’t want it in our cookies. Just the fragrant orange zest that tastes like summer feels. Go Pro Tip: The night/morning/a few hours before you want to make cookies, just take out your butter and let it sit on the counter. We leave butter on the counter in a covered butter dish for God-only-knows how long. I’m not using His name in vain, it’s just that I really can’t remember how long it takes us to use up our counter-butter. We go through it quickly enough, but sometimes not so fast, and hey, we’re still fine. My point is, please don’t soften your butter in the microwave. It’s fine to sit out, and the risk with the microwave is that once it melts, it changes the properties of the butter, and it won’t work quite the same as butter that’s soft… Okay, okay, it’ll still work, but it won’t work the same. Remember, you’re dealing with a rule follower here. Until I got spoiled by a dishwasher in Minnesota, and then we moved to Iowa. They have dishwashers here, but we just don’t have one. Hands down, that’s my most favorite of all the kitchen appliances (maybe make that third to a fridge/freezer and a stove/oven). 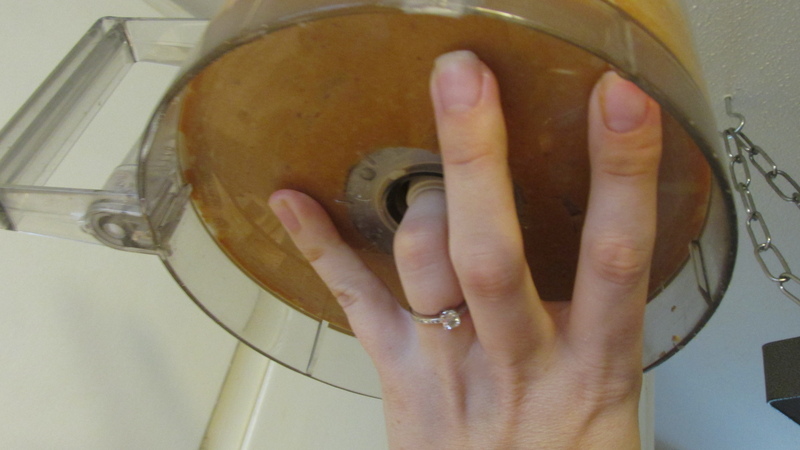 But there are worse things in life than having to wash your dishes by hand, so… moving on! 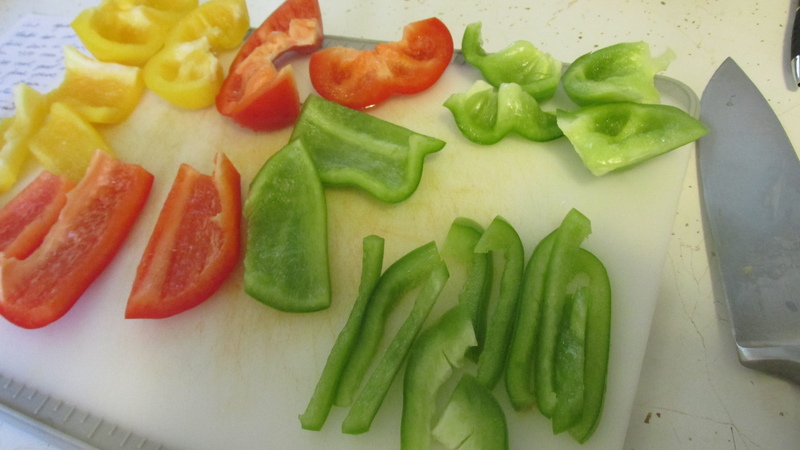 If you want to mise en place, go for it. You should really try it at least once in your lifetime. But if now is not that time, I completely understand. 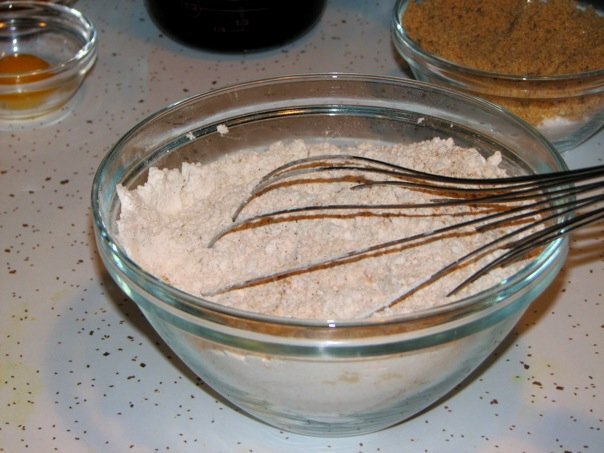 In a large bowl, whisk together the flour, baking soda, spices, pepper and salt. 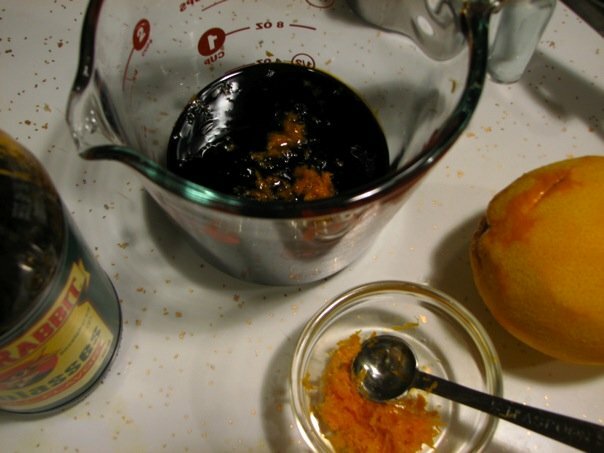 Add about 1 1/2 tsp of grated orange peel to the molasses and set aside. 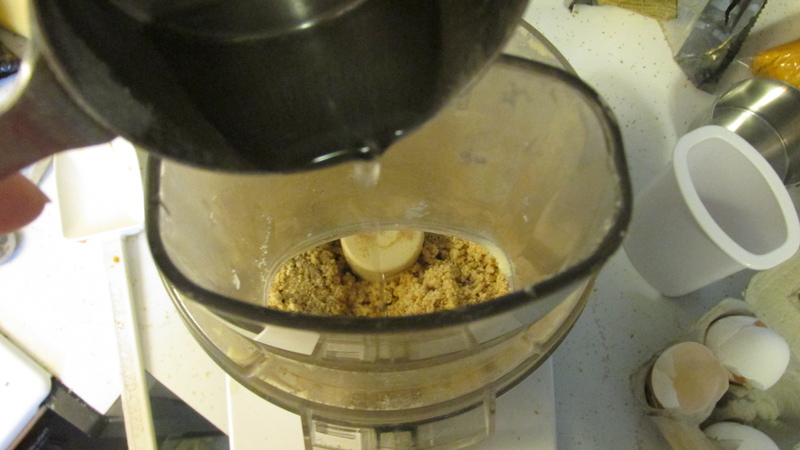 In a food processor, pulse the remaining orange peel with the reserved sugar for about 10 seconds. Put the orange-sugar mixture in a bowl and try not to get sidetracked with all the wonderful ideas of how else you could use this wonderfully scented sugar. We’ll need it to roll the cookies in at the end. 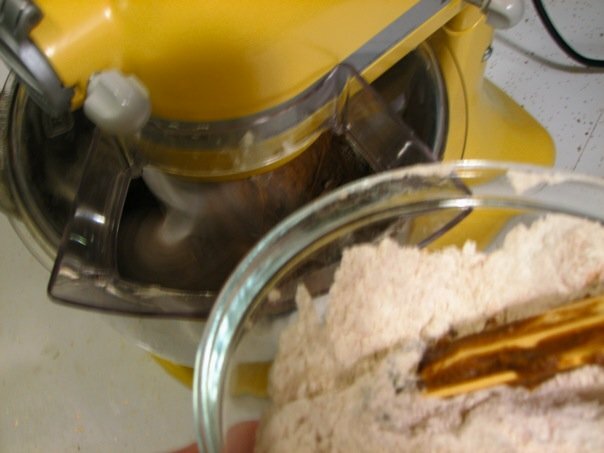 Next, bust out your Kitchenaid or similar kitchen appliance – I suppose an electric hand mixer would work, but that gets tricky when you’re adding the flour later on, unless you’re an octopus. You could even go super old-school and mix it all with elbow grease and a spatula, but who has time for that when you’re washing mise en place bowls? 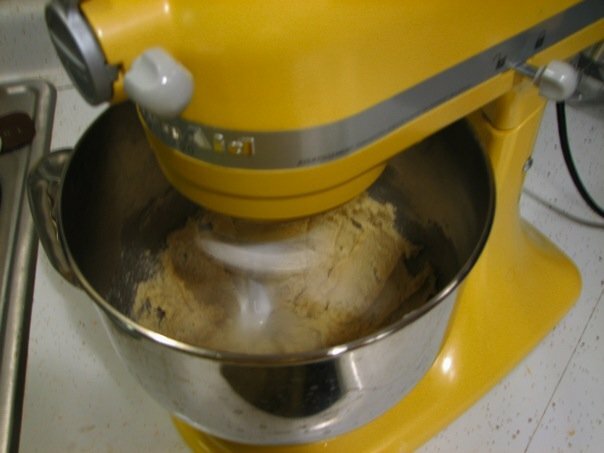 Personal Product Plug: I’ve had my Kitchenaid mixer for 8+ years, and it’s my tried and true friend in the kitchen. 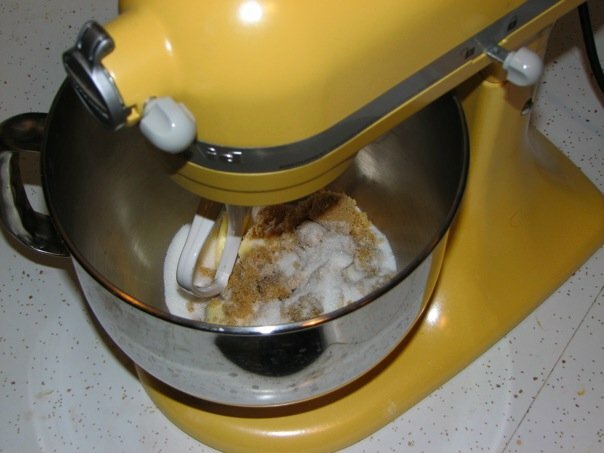 While you certainly can use a hand mixer, or by your own strength and the sweat of your brow, having a standing mixer that can slowly mix while you use both your hands to carefully add in messy ingredients from large bowls really is like having a friend in the kitchen doing half the work for you. Except this friend won’t backseat-drive or deny you a taste of cookie dough. Not that I have any friends like that, do you? Beat the butter, brown and white sugar (keeping the reserved sugar to the side, obviously, ’cause, y’know, that’s why it’s called “reserved” sugar) together until they look light and fluffy. 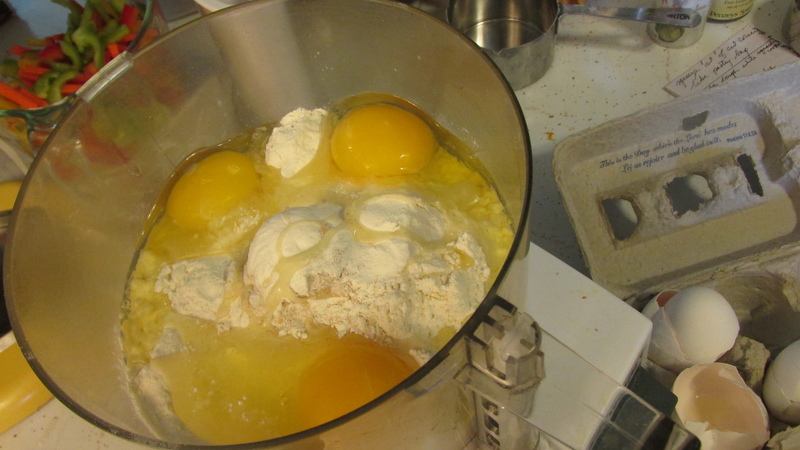 Then, with the mixer on low, beat in the egg and vanilla until well-mixed. Scrape down the sides (you’ll hear that again). 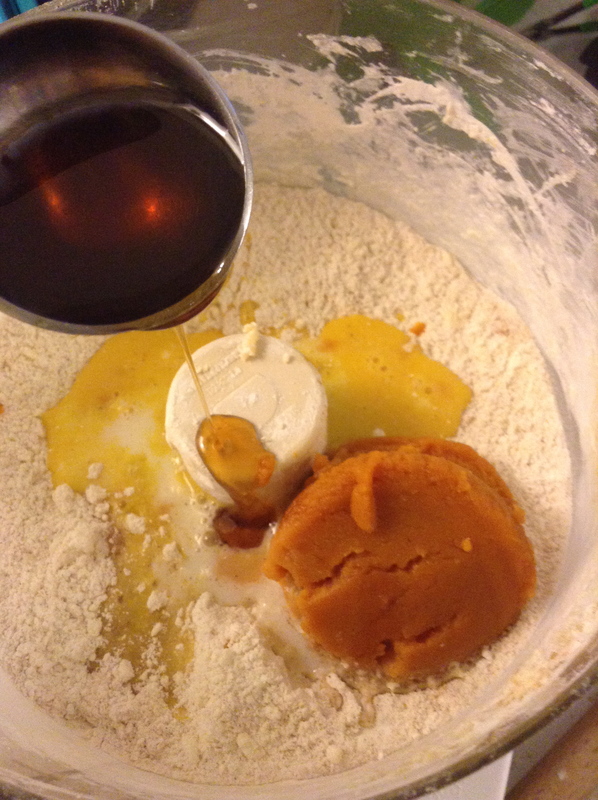 Next the orange-infused-molasses, again, making sure they’re all blended together in a glorious harmony of flavor. 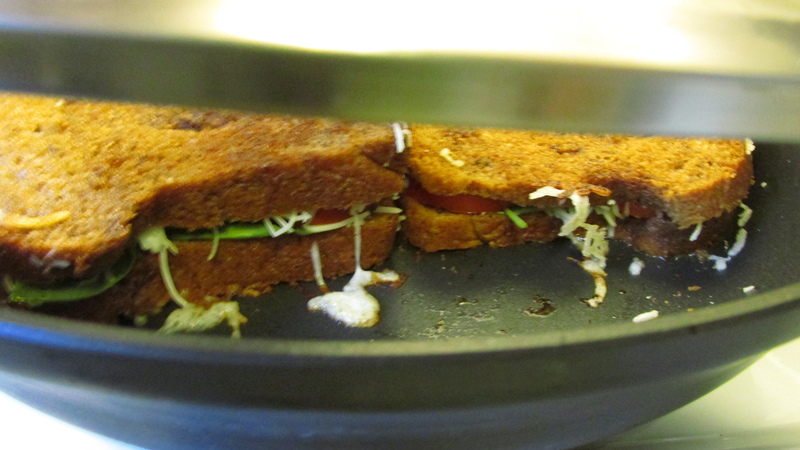 Also, don’t forget to scrape down the sides as needed (see? 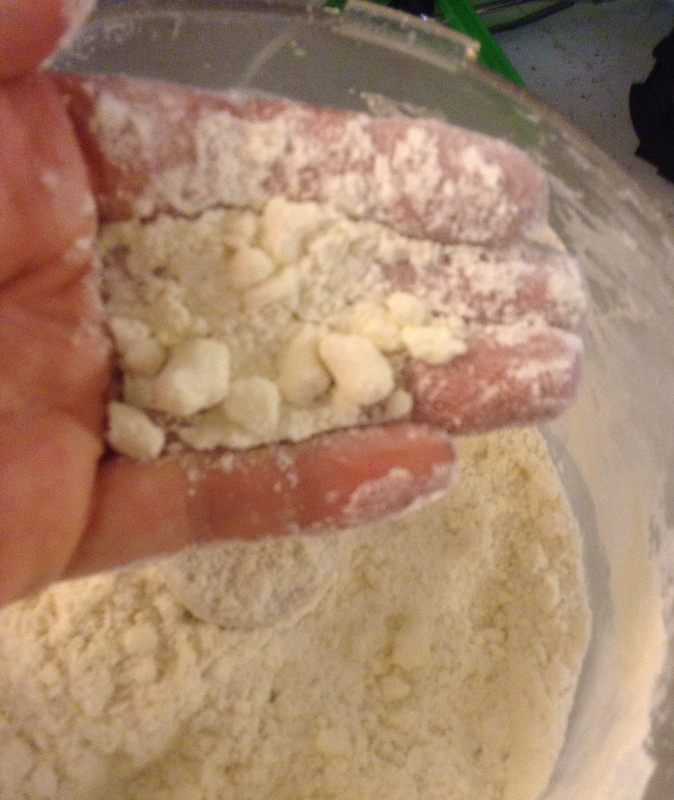 I told you…) to make sure no little bit of dough feels ostracized from the bunch. There are no bullies in cookie dough. 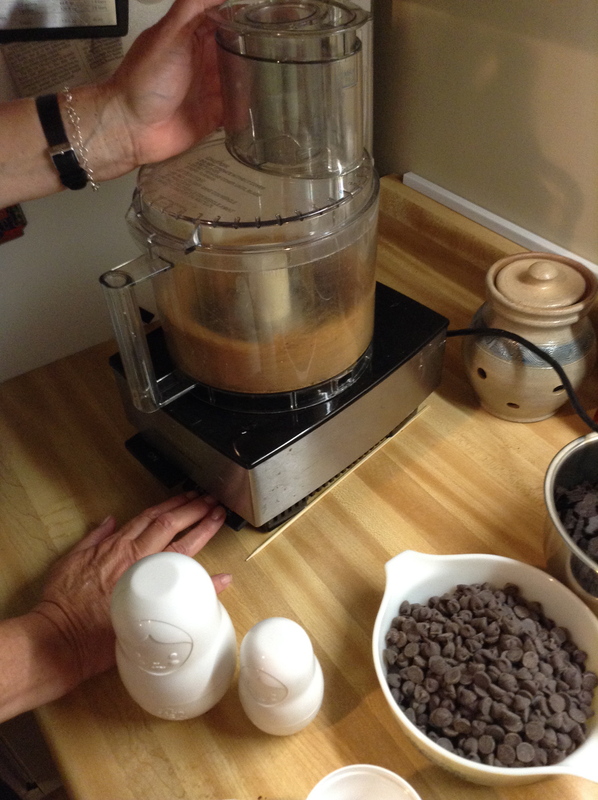 Now is the moment when you’ll be oh-so-glad you have a standing mixer (or if not, take pride in taking the harder route and tell yourself that you’re building character, because I’m sure in some regard, you are). Slowly add in the flour mixture about a third at a time, and I’ll say it again, nobody gets left out at this cookie party, make sure to scrape down those sides! 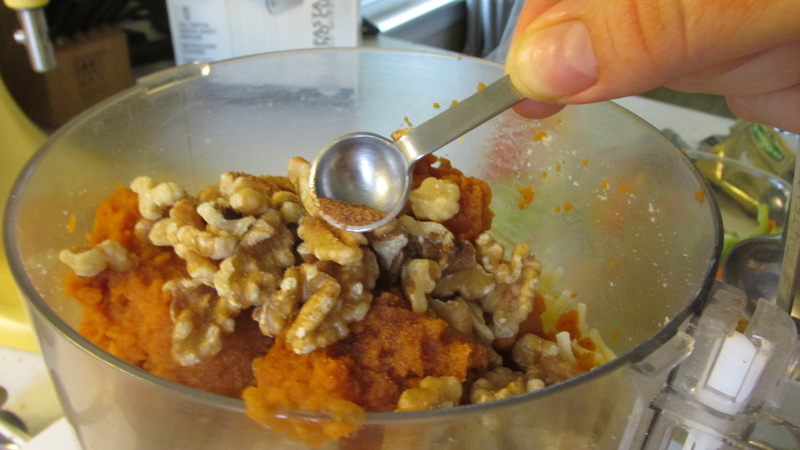 Once it’s all mixed up and you can’t tell who’s who, get out a cookie scoop (similar to an ice cream scoop but smaller) or a tablespoon (not a measuring tablespoon, but the big spoon you put next to your soup bowl). Scoop out a heaping 1 1/2 TBSP and roll into a ball, then roll that ball into the reserved-orange-sugar, and place it on your parchment paper. You’ll want to place the cookies about 2 inches apart, and as many as you can properly space on a pan, because you’ll need to bake these one pan at a time. 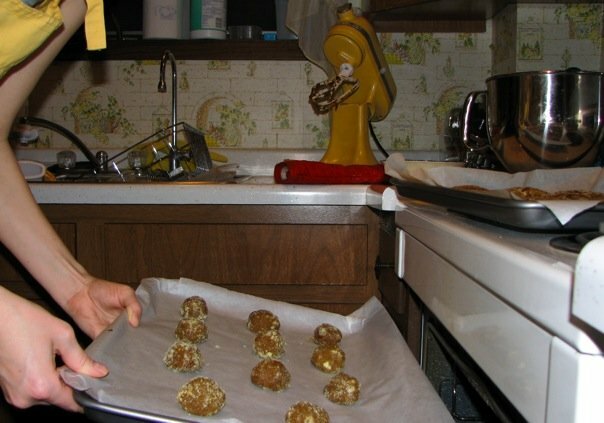 If you have multiple baking pans, go ahead and get the second one ready with the raw cookies before you put this pan in the oven. 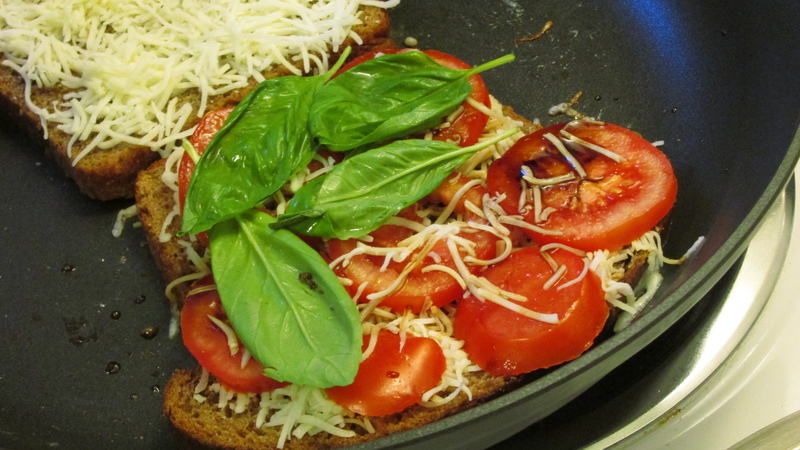 Bake for 6 minutes, rotate the pan, and bake for about another 4-6 minutes. 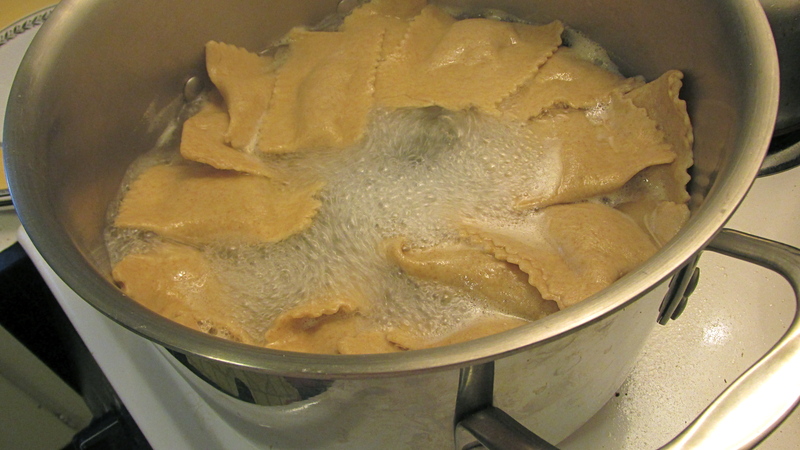 You’ll want to undercook them a smidgen – the edges should be set and the tops cracked, but you want the centers to still be soft. 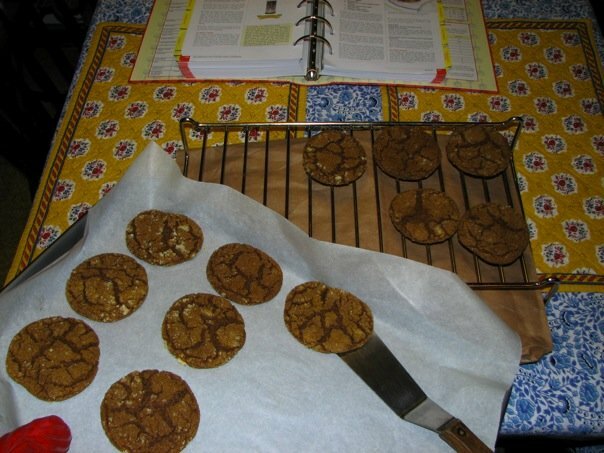 Once you pull your pan out of the oven, let the cookies rest on the pan for about another 10 minutes before eating or moving them to a cooling rack. 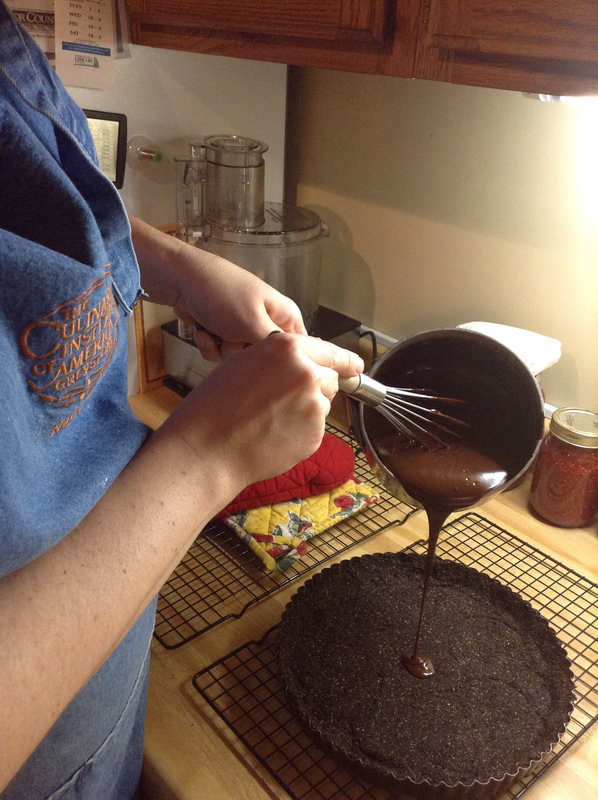 Repeat until any remaining dough is baked or in your tummy (if you’re a not-pregnant, risk taker). PS – I would like to give a huge once-again thank you to many special people who showered Ben and I with much love as we prepared to get married. 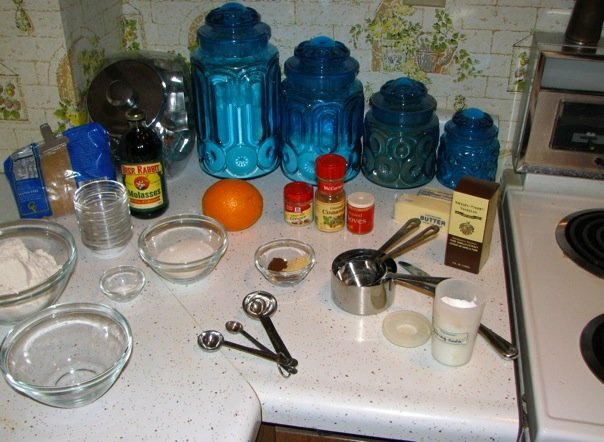 I have quite a few hand-me-downs from my grandma Aloise (like the blue glass canisters) which I cherish dearly, but I also received the majority (I’m pretty sure it was around 99%) of our kitchen stock (appliances, cutlery, mixing bowls, etc.) as bridal shower or wedding presents (among other things). If you’re reading this, you might see something pictured and think, “hey, I got that for them!” I’ll be honest, I have a hard time remembering who all gave what (baby-brain really is obnoxious! ), but I can assure you, it has been well used, well cared for, and still in circulation for a good number of my kitchen creations. This isn’t really a product plug, but more so a testament to how having the right tools for the job can make even tedious-seeming-tasks go so much more smoothly, and thus more enjoyable. Construction workers have construction tools, artists have artist tools, pastors even have special pastor tools, and bakers have baker tools. I still really love all my tools. So thanks again! Printer Friendly Directions – you’ll have to copy and paste and print from whatever you paste it into… see the end of my very first post, Scones to Start!, for more details. 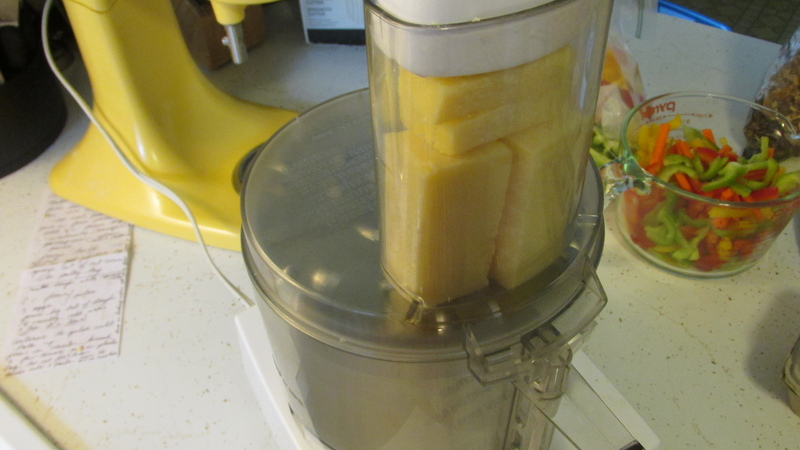 In a food processor, pulse the remaining orange peel with the reserved sugar for about 10 seconds. 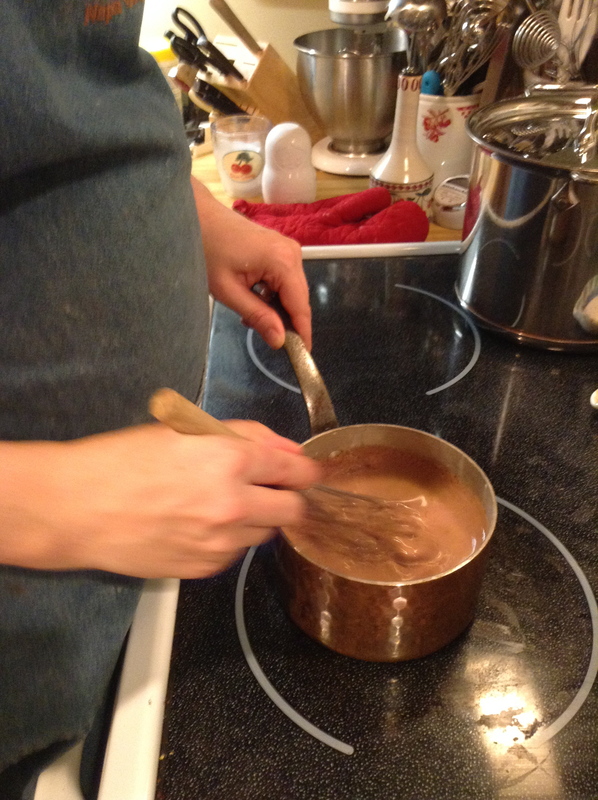 Put the orange-sugar mixture in a bowl and set aside. 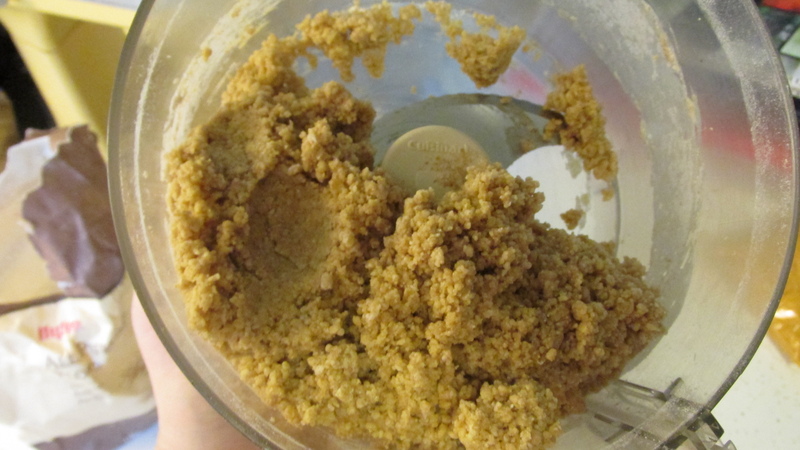 With a standing or hand mixer, beat the butter, brown and 1/3 cup white sugar together until they look light and fluffy. 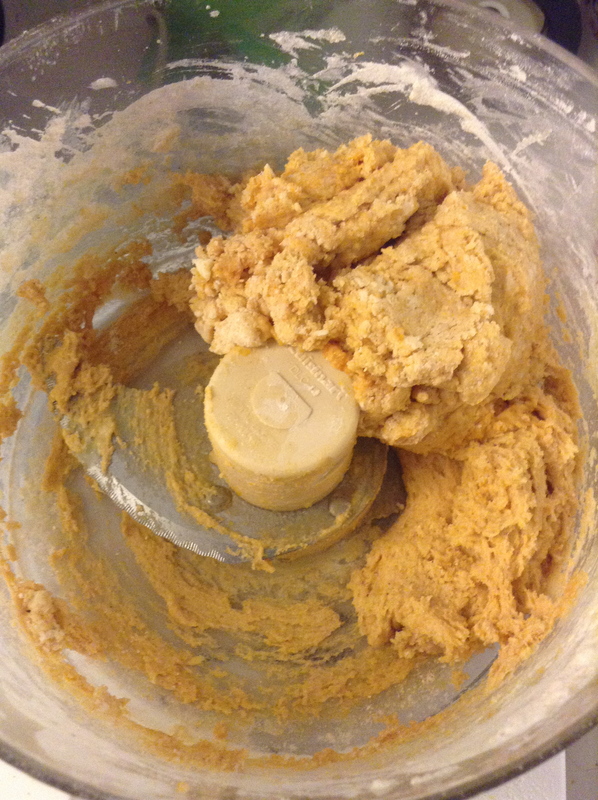 Then, with the mixer on low, beat in the egg and vanilla until well-mixed. Next ad the orange-infused-molasses. 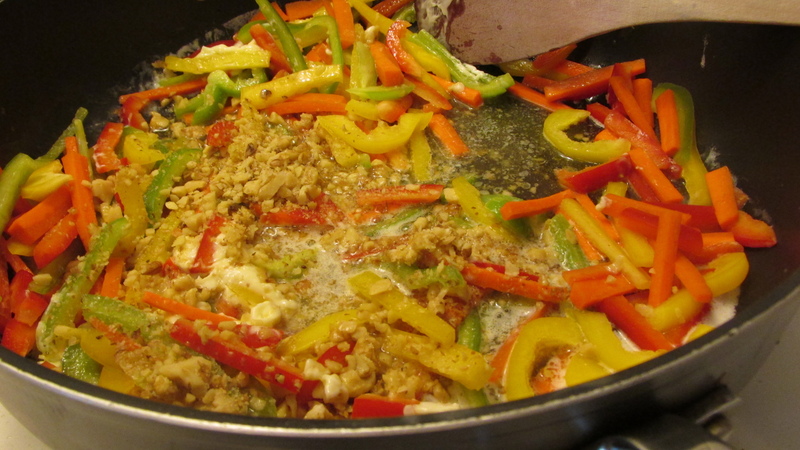 Scrape down the sides of the bowl after adding ingredients. 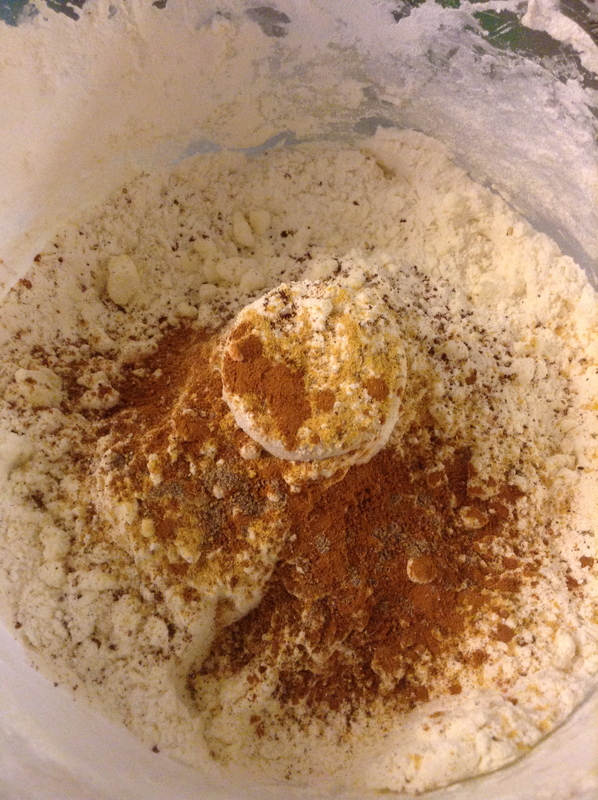 Slowly add in the flour mixture about a third at a time until well incorporated, again, scraping the sides as needed. 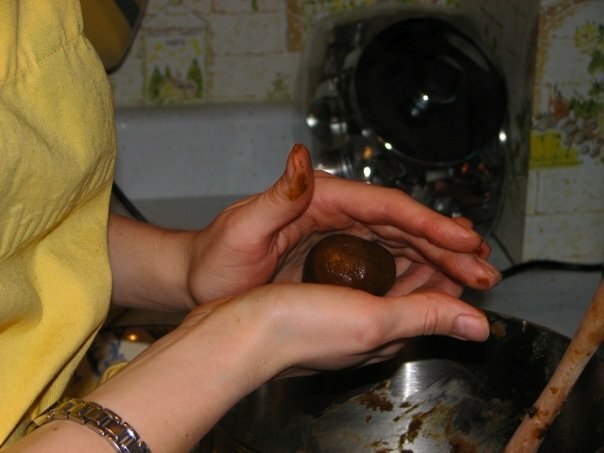 Scoop out a heaping 1 1/2 TBSP and roll into a ball, then roll that ball into the reserved-orange-sugar, and place it on your parchment paper. 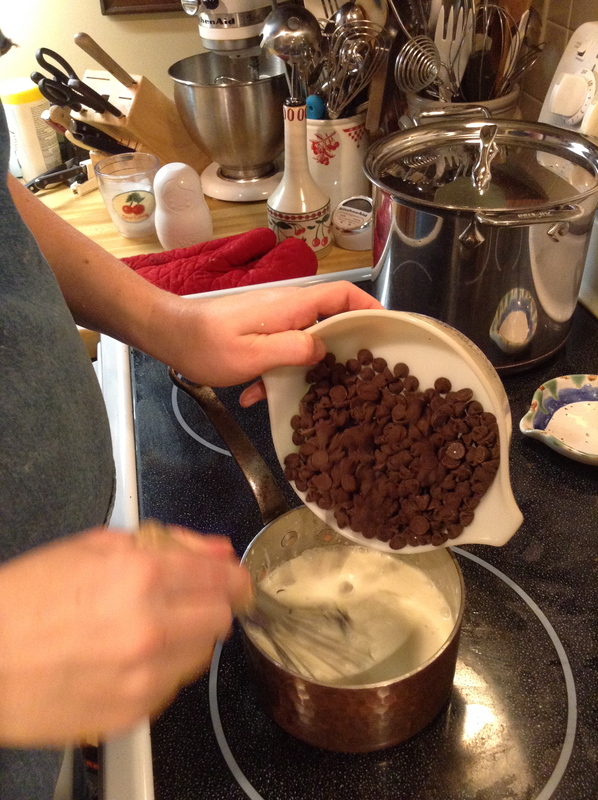 Place the cookies 2 inches apart, and bake one pan at a time for 10-12 minutes, rotating the pan halfway through. 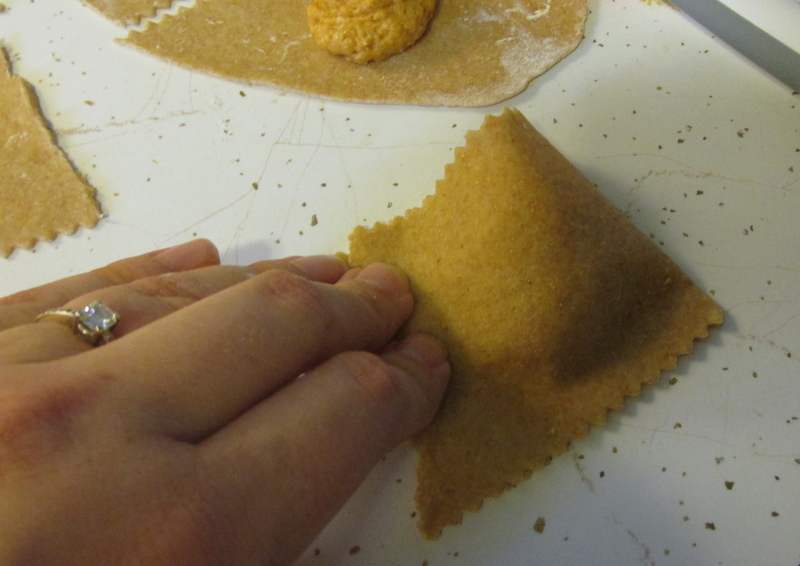 When done, the edges should be set, the tops cracked, and the centers should still be soft. Let the cookies rest on the pan for about another 10 minutes before eating or moving them to a cooling rack. 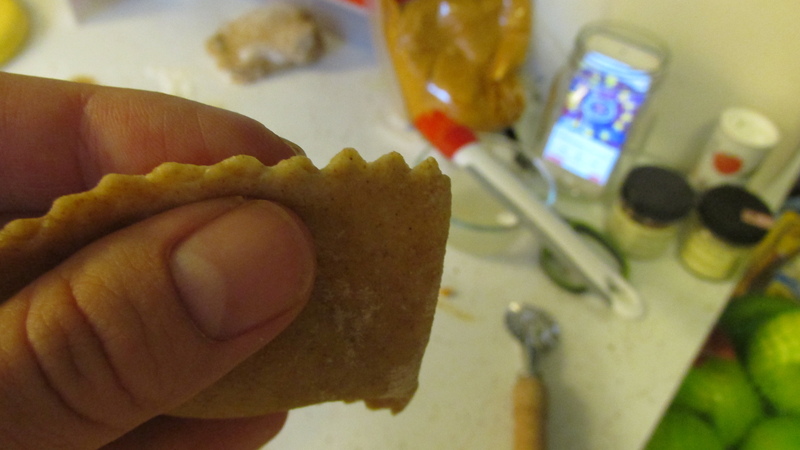 Posted in Sweet Treats and tagged cookies, molasses, orange zest, spiced. Bookmark the permalink. 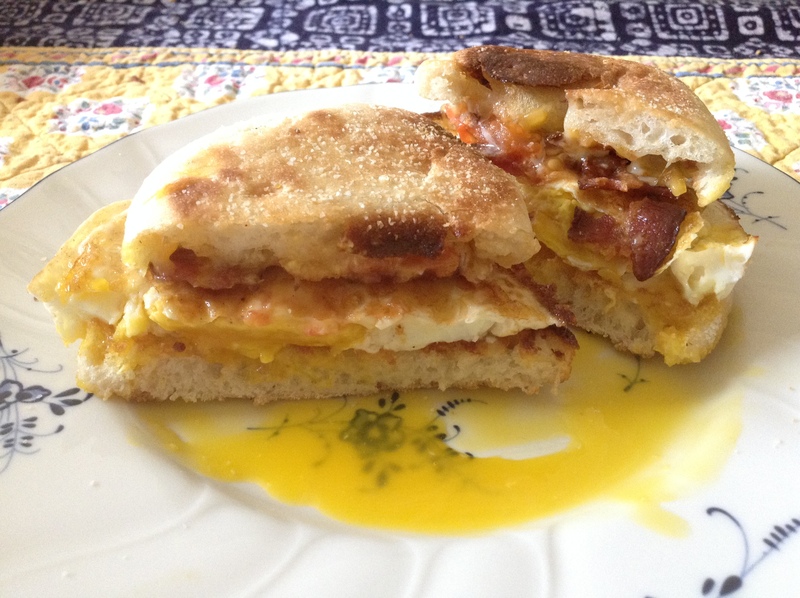 Welcome to my food blog! 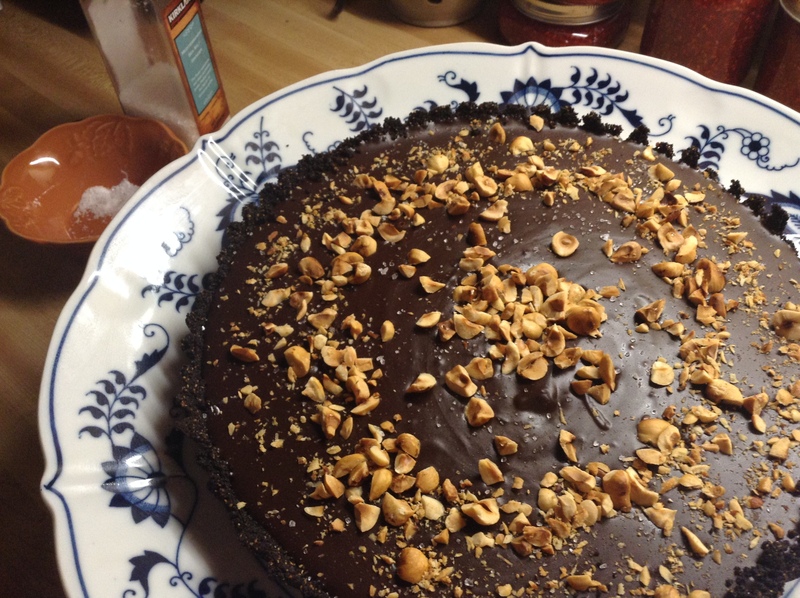 I’m one of those annoying facebook friends who likes to post pictures of all her (successful) culinary creations (though there have been plenty of flops as well). 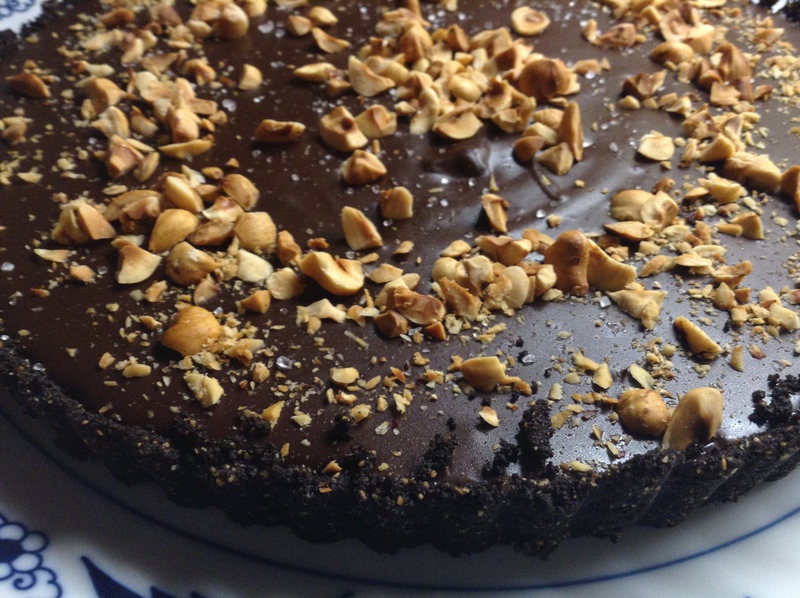 I’ve certainly had requests for recipes over the years, and was happy to share. However, typing out a full recipe with instructions in a facebook comment is tedious, to say the least. Preheat oven to 400˚F and gather your ingredients, including the frozen butter (you’ll want it to sit for a moment before you try to cut it). Wash, pit, chop and press out the juice from your summer-fresh cherries (or skip the extra work here and use dried, especially if it’s winter-time). 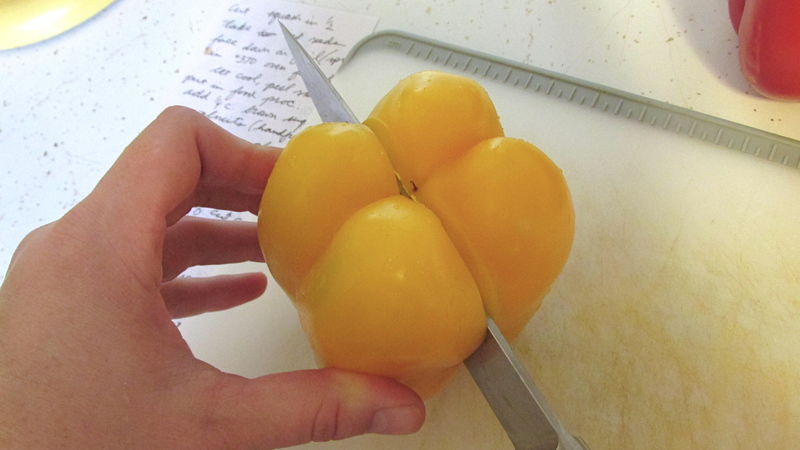 Go Pro Tip: I found it was easiest to make a small slice with a paring knife, using the pit as a guide, then use your thumbs to tear apart the cherry at the cut, and pull out the pit. It feels a little violent for these poor sweet cherries, and the juice will stain your hands (just until you wash them – clothes might not be so lucky, so skip the pristine, white, lace apron for this one), but the messiness is kind of fun too. 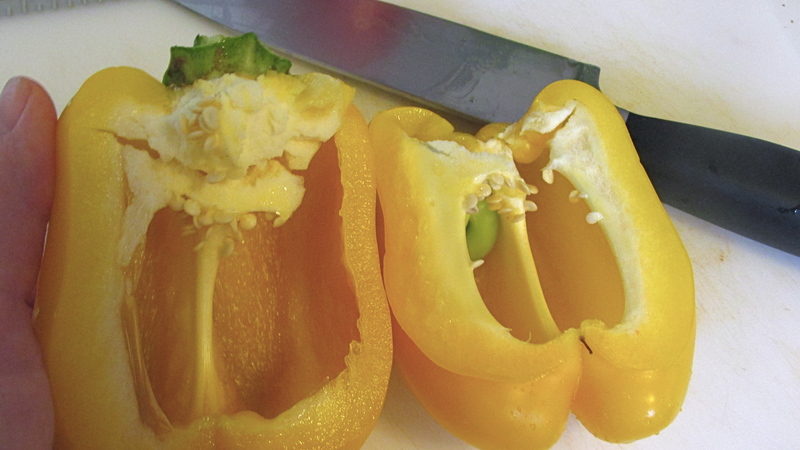 For chopping these slippery little buggers, pile them close together on your chopping board. My favorite knife for chopping anything is the santoku knife. Personal Product Plug: we still have the J.A. Henckels knife set that we received from our wedding registry at Bed, Bath & Beyond. With one sharpening per year, they are great knives. Even better, we accidentally broke one a few years back; it just cracked right in half. J.A. Henckels has a lifetime warranty, so I took the broken pieces back to Bed, Bath & Beyond, explained what happened and that it was on my bridal registry. They simply handed me a brand new replacement, and treated it as an equal exchange. Because of this, I will forever recommend this knife brand as well as Bed, Bath & Beyond to any newly engaged couple wondering where they should register. 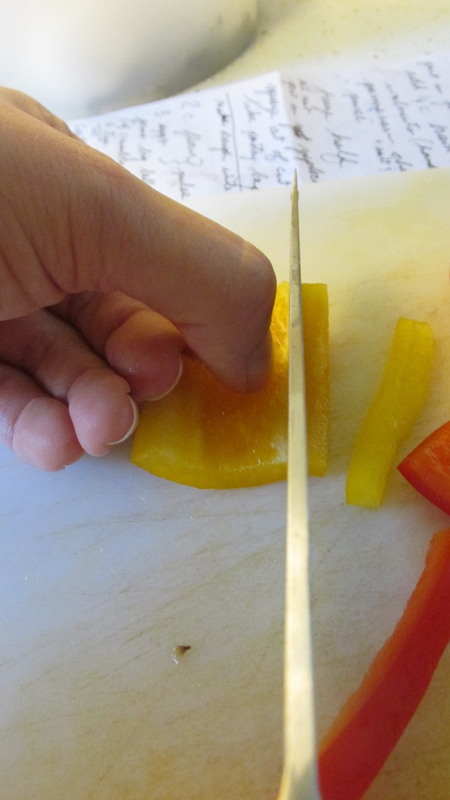 Go Pro Tip: Back to chopping: if you want to see a decent introductory lesson (and a fabulous movie about cooking in Paris), watch Pixar’s “Ratatouille” – seriously. Meanwhile, here’s how I do it. 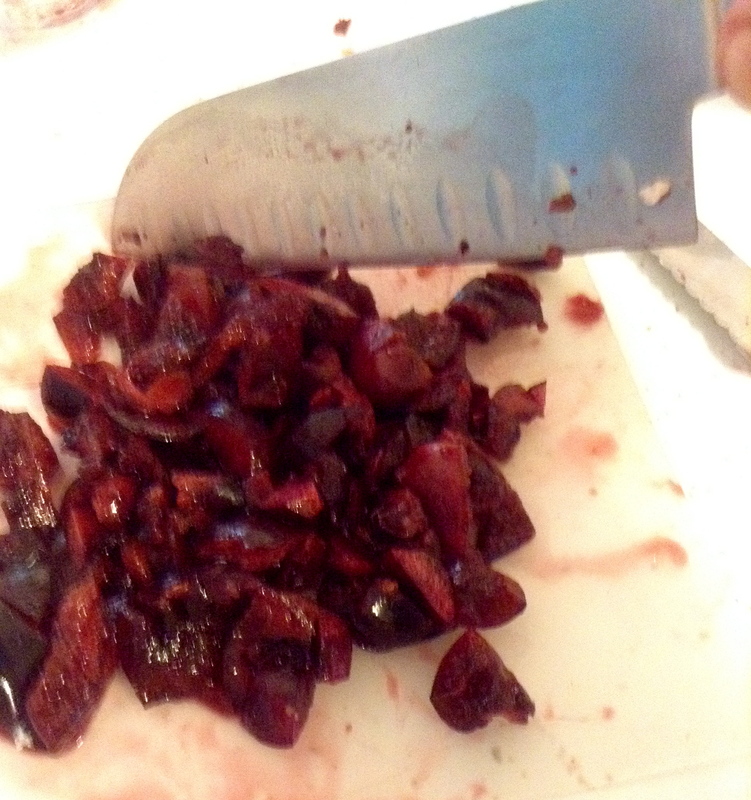 Gather the pitted cherries in a close pile. 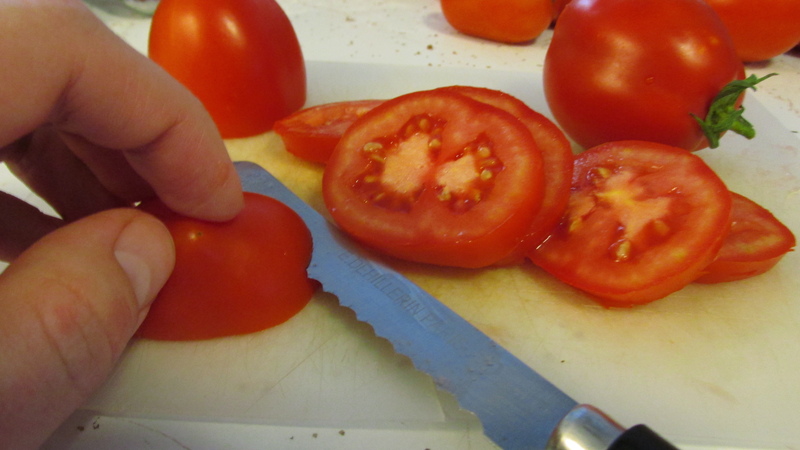 For loose items (like nuts and berries, not things like carrots or celery), I like to start in the center and, keeping the tip of the knife on the cutting board as if it were attached, I simply “rock” (think of a rocking chair) the blade up and down while pivoting the handle left to right until all the cherries are chopped. 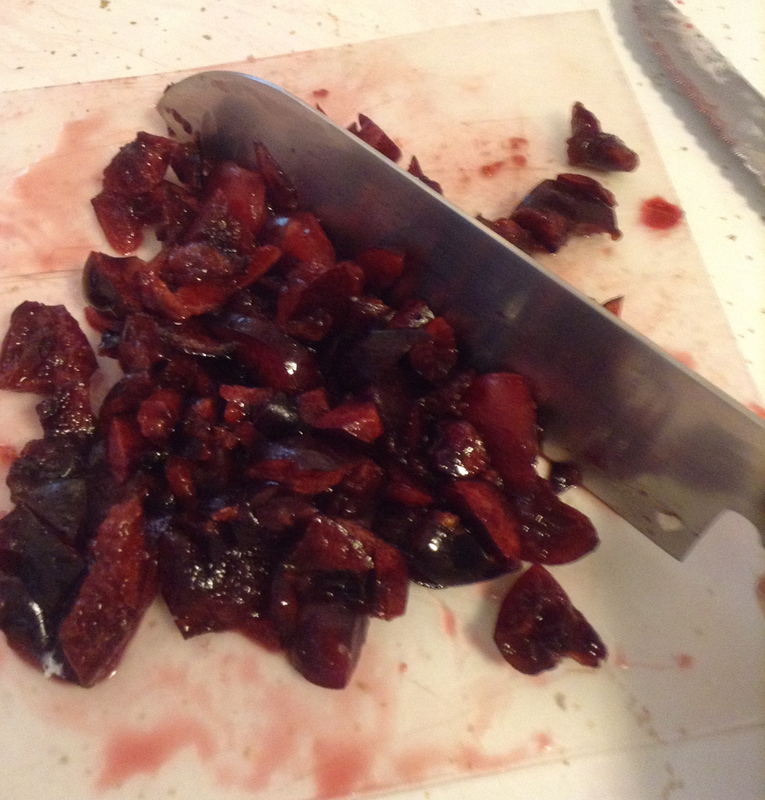 I use my spare hand to occasionally regroup the cherries, and to hold the cutting board in place. 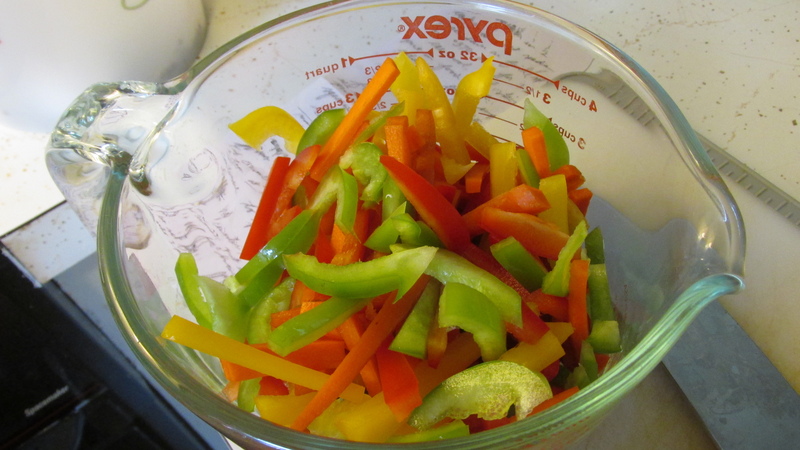 In a food processor (my trusty Cuisinart has been a most helpful companion in many of my kitchen endeavors – 7 years and still strong! 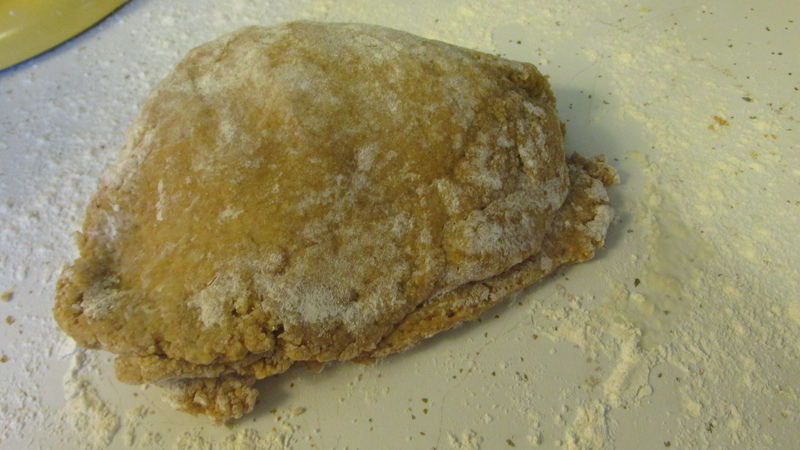 ), pulse the flour, sugar, salt, baking powder and nutmeg. 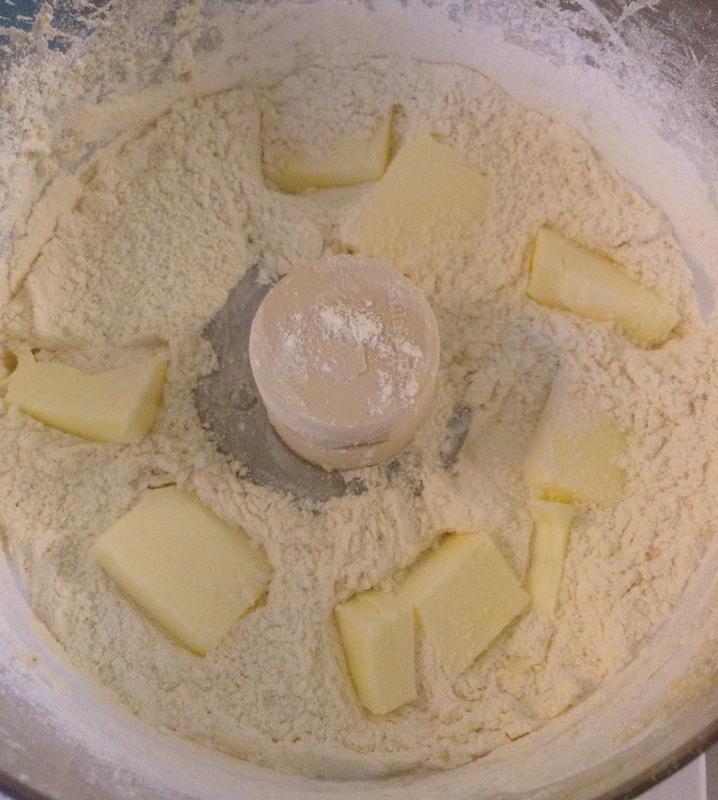 Cut the butter, adding it to the flour mixture, and pulse a few times. Be careful not to over-pulse! 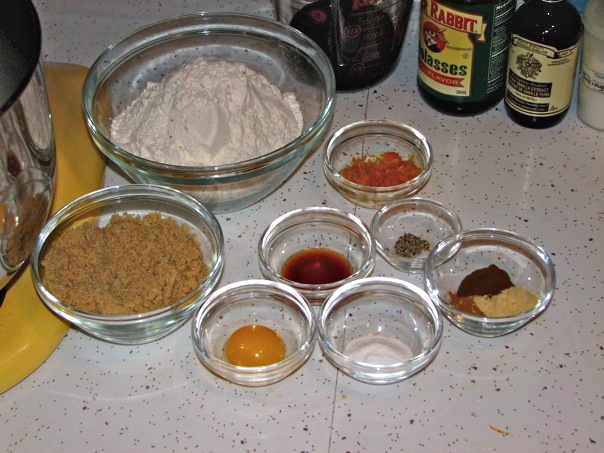 You want the mixture to resemble coarse meal. The butter should be in about pea-sized pieces; carefully (that blade is painfully sharp, and nobody wants your blood in their scones… gross!) 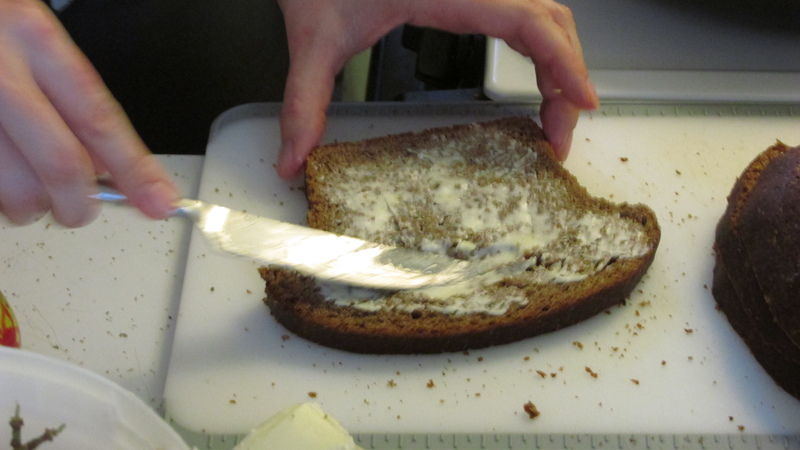 use your fingers to feel for and break apart larger pieces of butter. Put the scones onto your parchment covered stoneware, and use a pastry brush to lightly “paint” some of the egg wash over each scone. 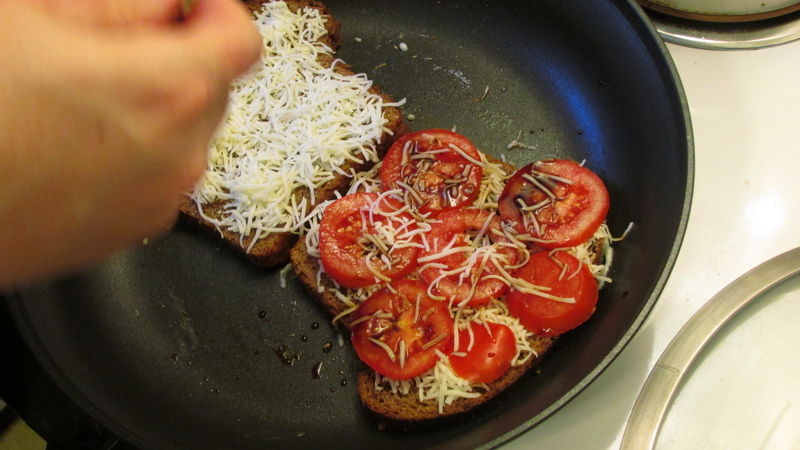 This step is not essential, but does add a nice sheen to the finished scone. Bake for 10-15 minutes. 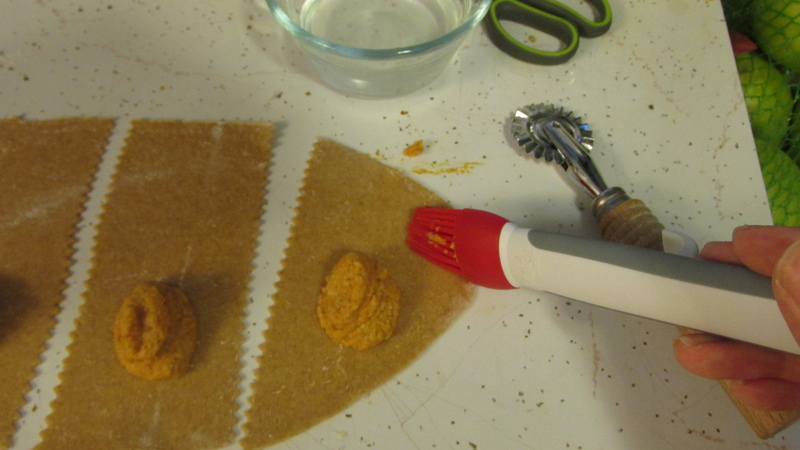 Depending on the thickness (and your oven) they may take longer. 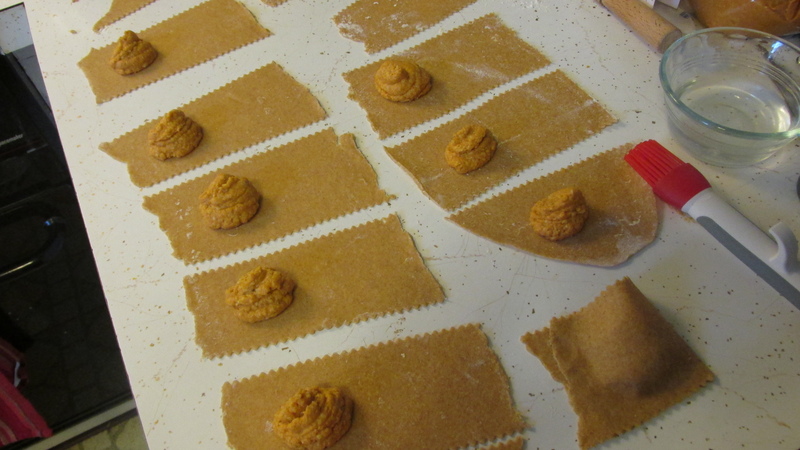 They’ll be golden when they’re done; you can also check the bottoms, which will be dark, but hopefully not too dark. (I prefer to err on the side of underbaking; you can always put them back in for longer, but once they’re burned they’re no good.) 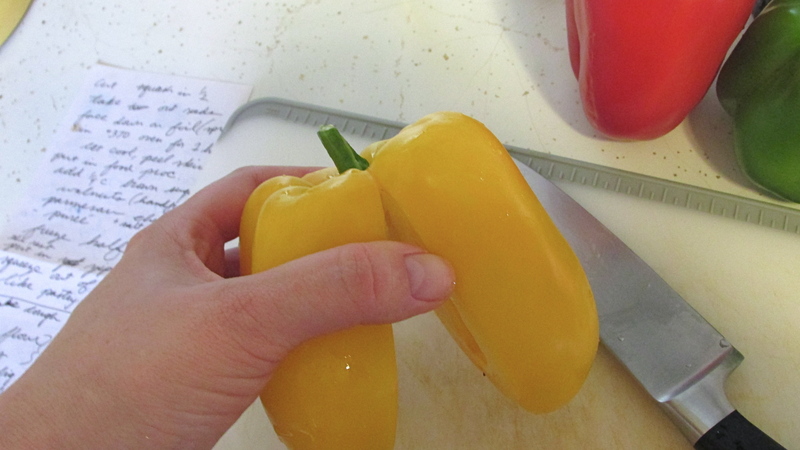 If you’re really worried about them not being fully cooked, you could always cut the largest one open – you want it mostly dry and flakey. 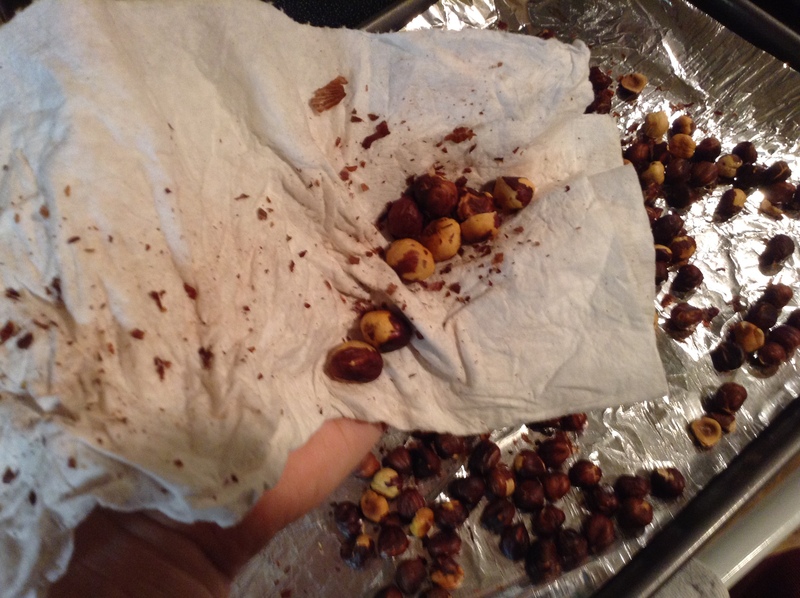 Let them cool just enough so you can pick them up (or use a spatula) to transfer them to a plate or cooling rack. You don’t have to let them cool completely before devouring (they’re so good when they’re warm), but don’t leave them on the pan. Ta-daaaa!!! 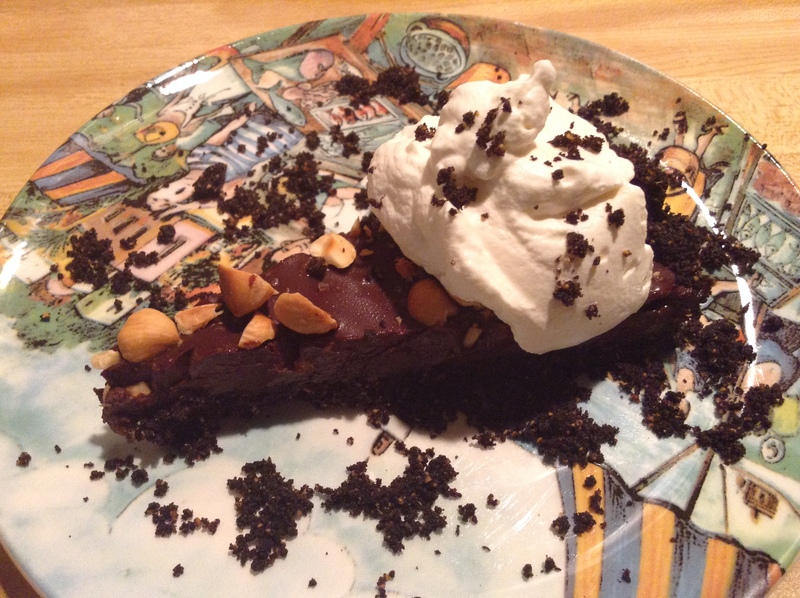 Eat plain, or with butter, or fresh whipped cream (whatever you fancy, really). Pour yourself a cup of tea, and stick out your pinkie while you sip away and nibble on your delightful little treat. Go Pro Tip: Bacon! 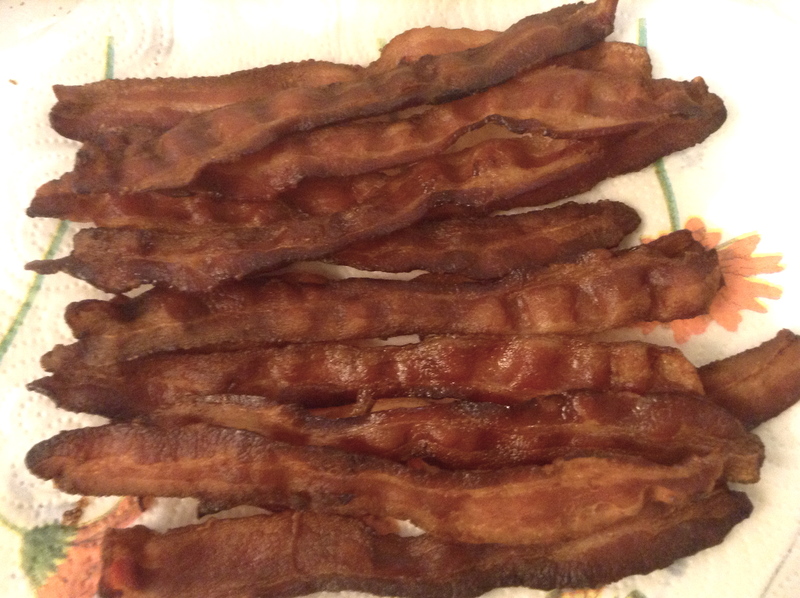 Perfectly crispy, beautifully flat bacon! Prior to making the scones (don’t even bother getting the ingredients out yet), you’ll want to bake your bacon so it has time to cool completely for when you need to chop it. Notice, I said bake. Preheat your oven to 350˚F. 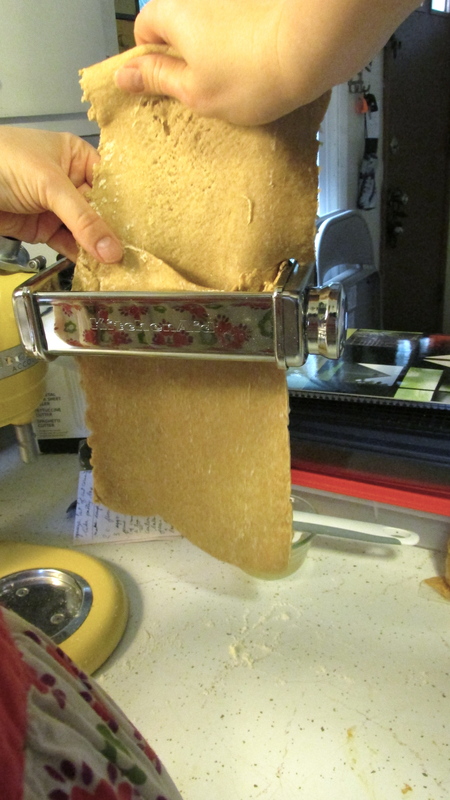 Line a large jellyroll pan with parchment paper (you could also use stoneware, but it has to have edges to catch the grease, the parchment paper helps with cleanup). On a large jellyroll pan, you can bake an entire package of bacon (it’s okay to overlap a little). Cooked bacon will keep for about 5 days in the fridge, and reheats quite nicely. 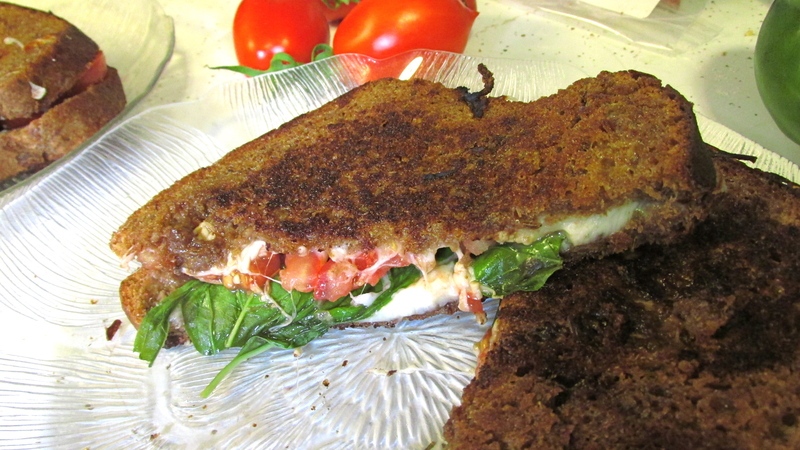 Bake for 10 minutes, then using tongs, flip and reposition the bacon strips so they no longer overlap. Bake for another 20-30 minutes until you reach your desired doneness. 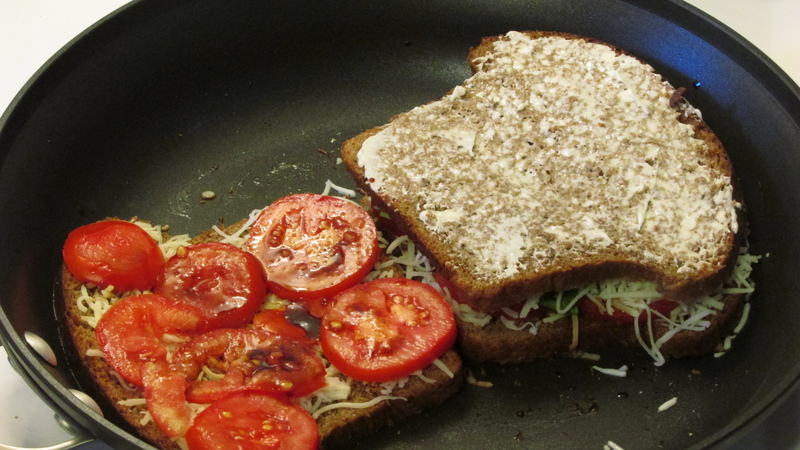 (Not burnt, but please not chewy. Ew.) 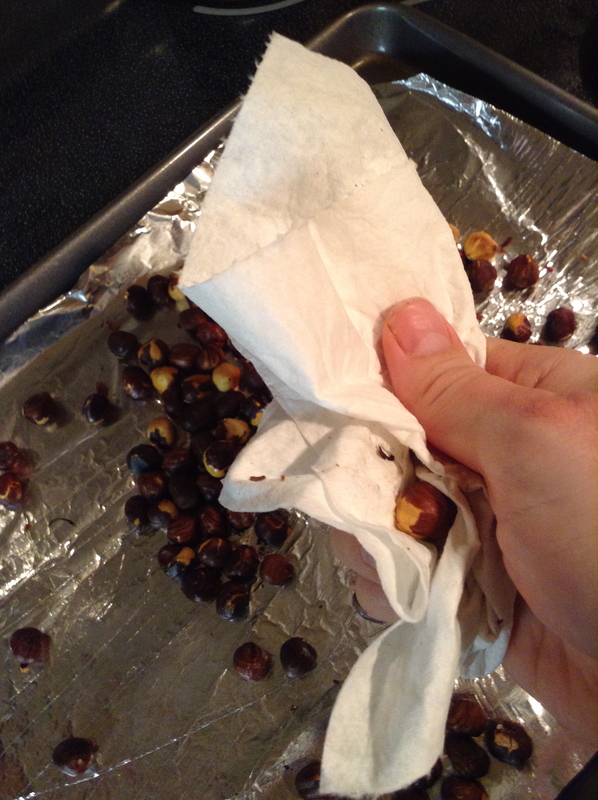 When done, place onto paper towel-lined plate and let cool completely. 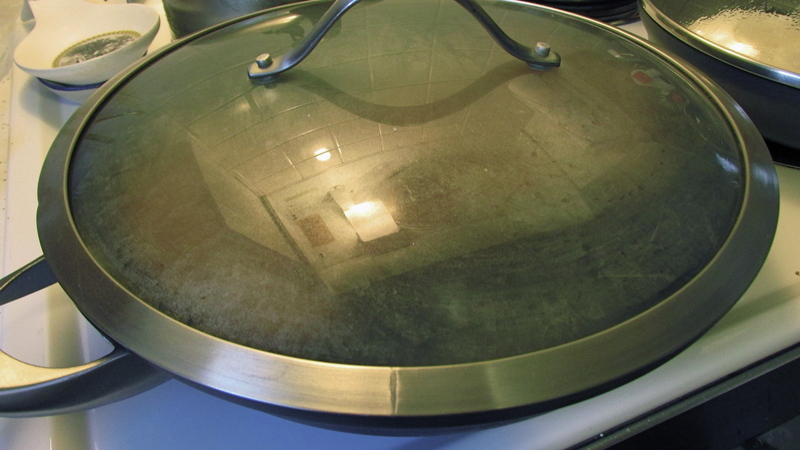 Let grease cool in pan while you go make those scones! Go Pro Tip: When chopping the bacon, keep in mind that crispy bacon has the ability to go flying when chopping in a large pile or too quickly. (Pigs can fly!) 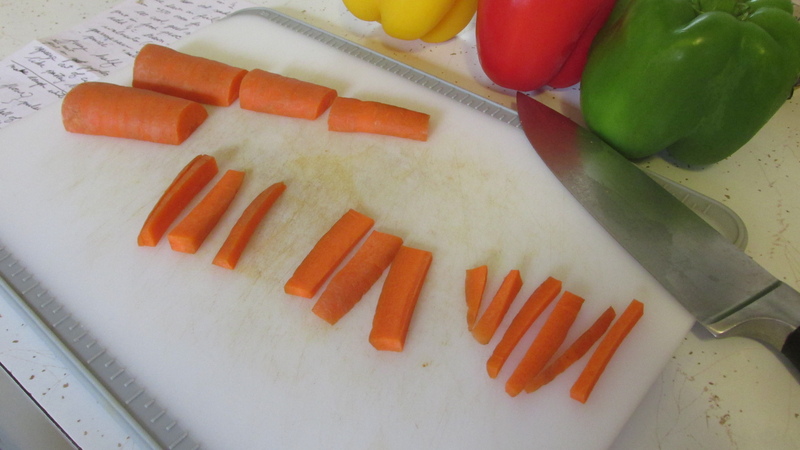 For efficiency, I still like to fold the strips in half and gather in a pile. 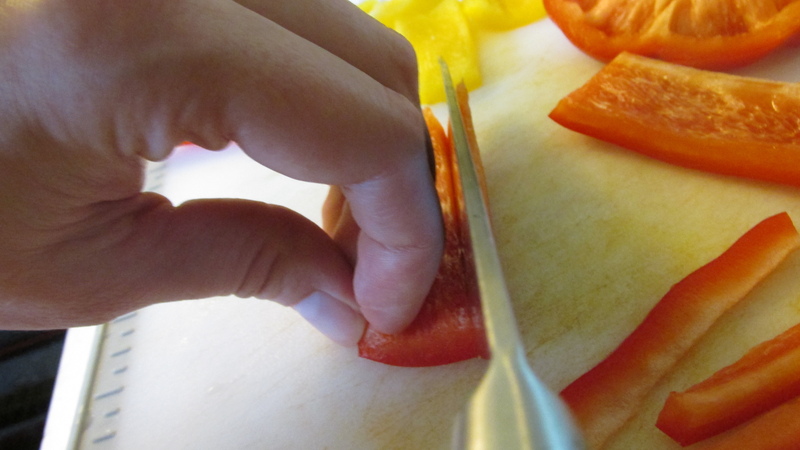 I then hover my hand over the knife while I chop away, but watch those fingers! 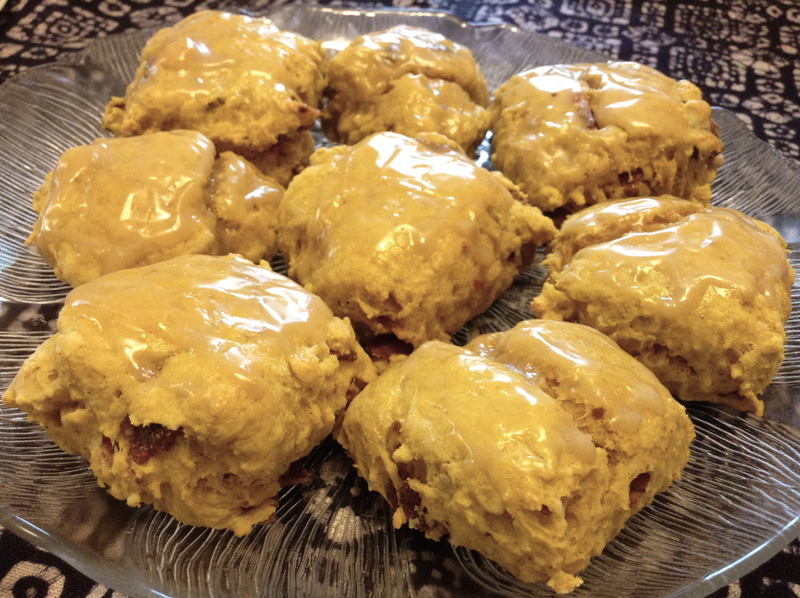 Directions: scones are pretty much made all the same, with the exceptions of your add ins/flavorings, so don’t mind me while I copy and paste. 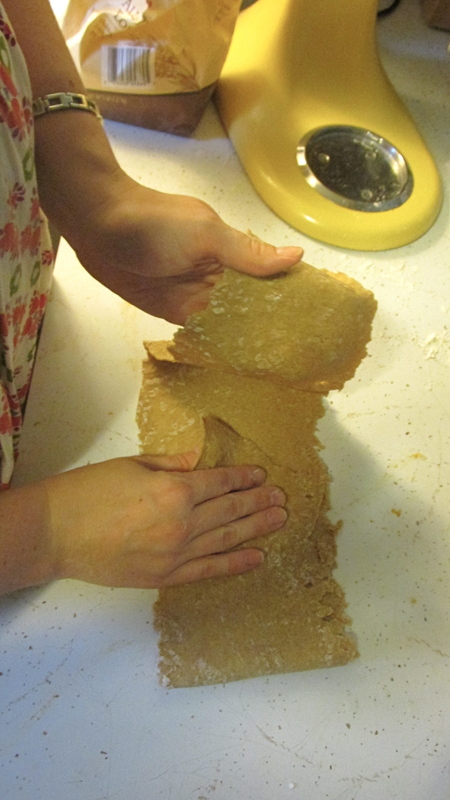 Prep a cookie sheet or stoneware with parchment paper. 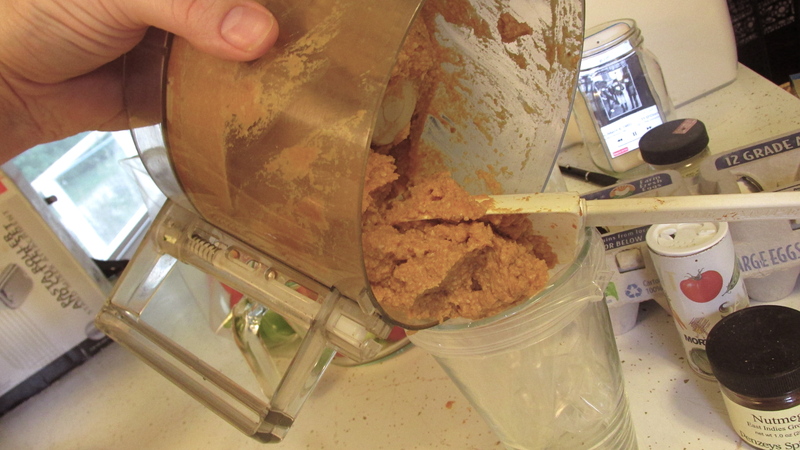 In a food processor, pulse the flour, sugar, salt, baking powder and spices. 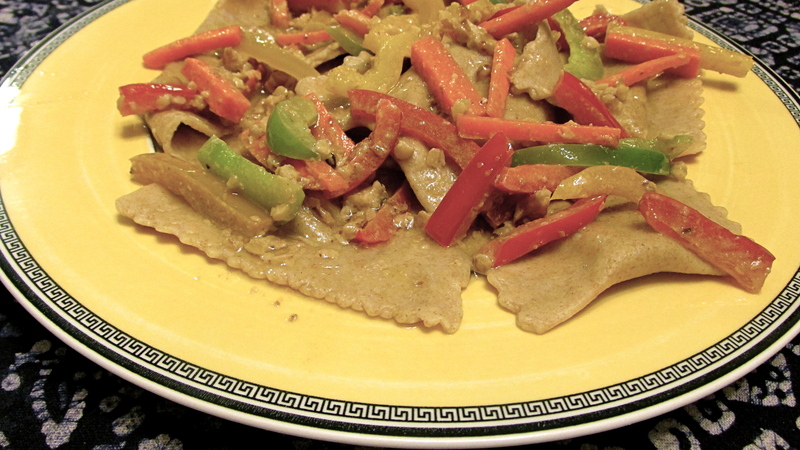 (Sometimes I forget things, but the Good Lord reminds me partway though, and so with these, the spices didn’t get added until after the butter. I literally did a 3 second pulse, and it was still good.) Also, I’m not great at measuring out my spices; I tend to simply shake them out until it just feels right. So the spice measurements listed are to my best guestimation. Feel free to adjust spice type/quantity as you see fit. 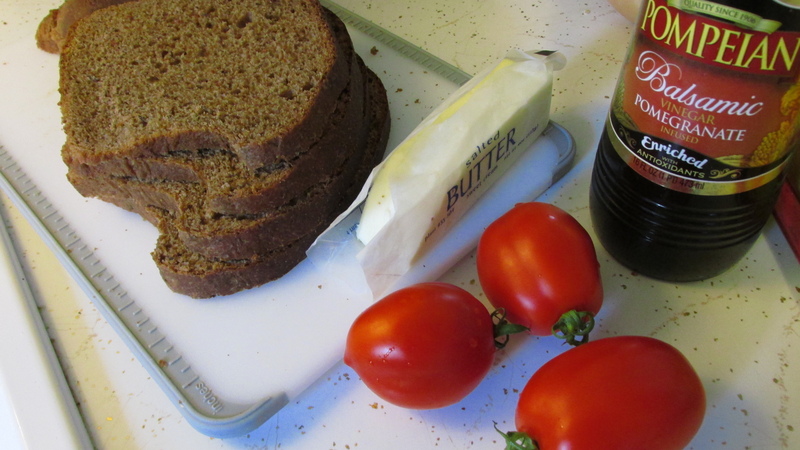 Cut the butter, adding it to the flour mixture, and pulse a few times. Be careful not to over-pulse! 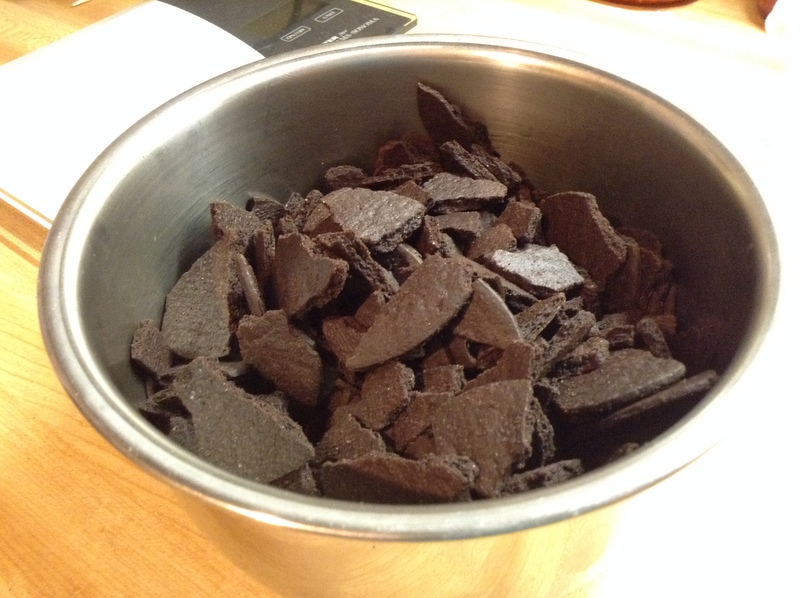 You want the mixture to resemble coarse meal. The butter should be in about pea-sized pieces; carefully use your fingers to feel for and break apart larger pieces of butter. Next, add wet ingredients (everything left except the reserved egg wash, bacon and the glaze ingredients), and pulse until it forms a ball. 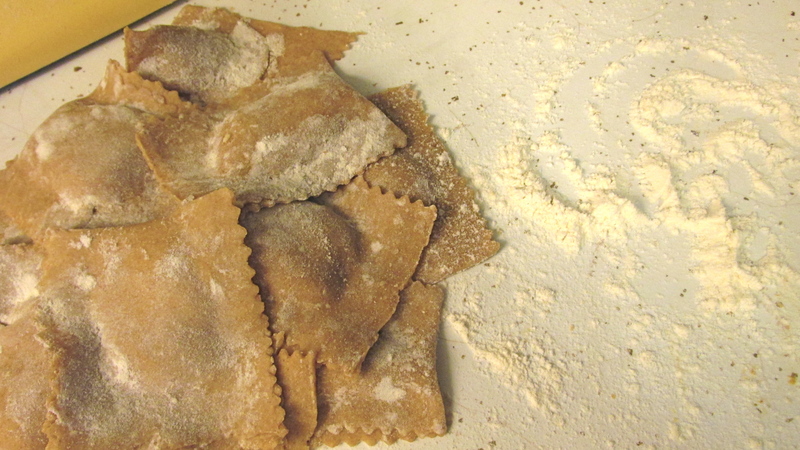 Place the dough onto a lightly floured surface; if it’s too sticky, add a little more flour as you gently press it out. 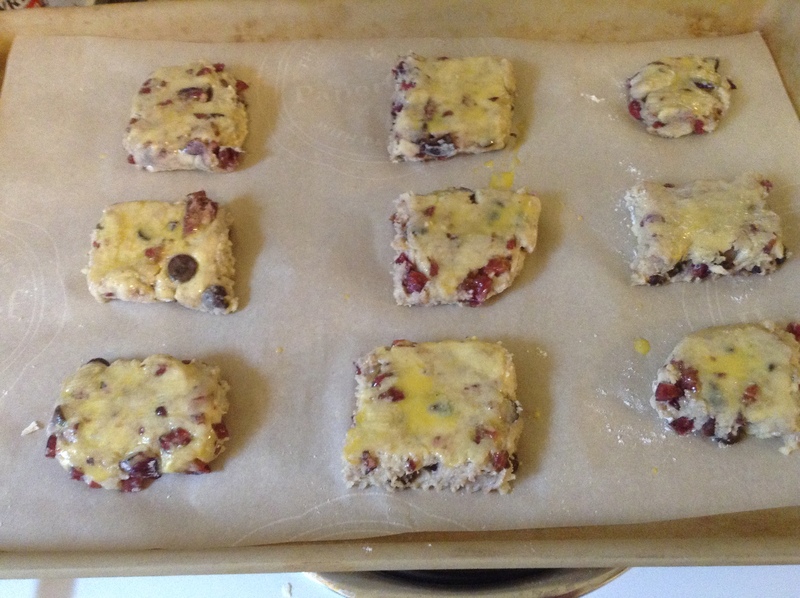 Cover with the bacon bits and knead in. Remember, nobody likes to be manhandled, including scones! 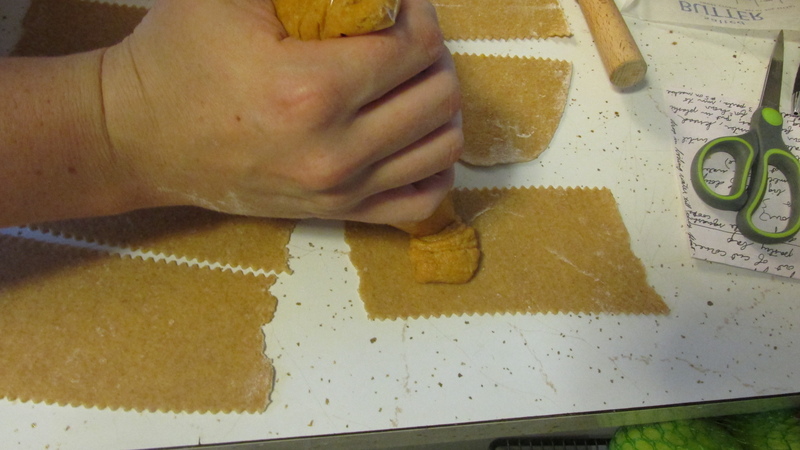 Near the end of that kneading process, also press the dough out to desired thickness (1/2 inch – 3/4 inch, roughly). 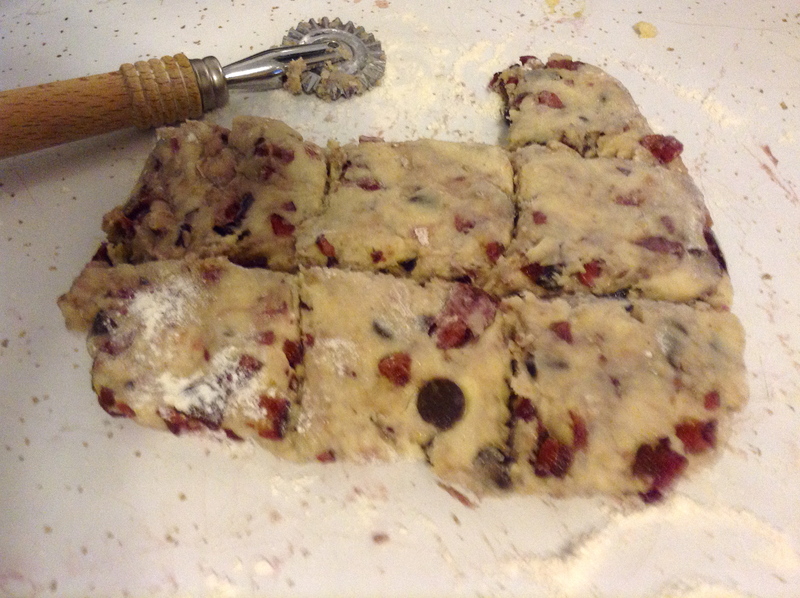 Cut scones into rectangles or triangles, or use round cookie/scone cutters. Put the scones onto your parchment lined pan/stoneware, and use a pastry brush to lightly “paint” some of the egg wash over each scone. Bake for 10-15 minutes. 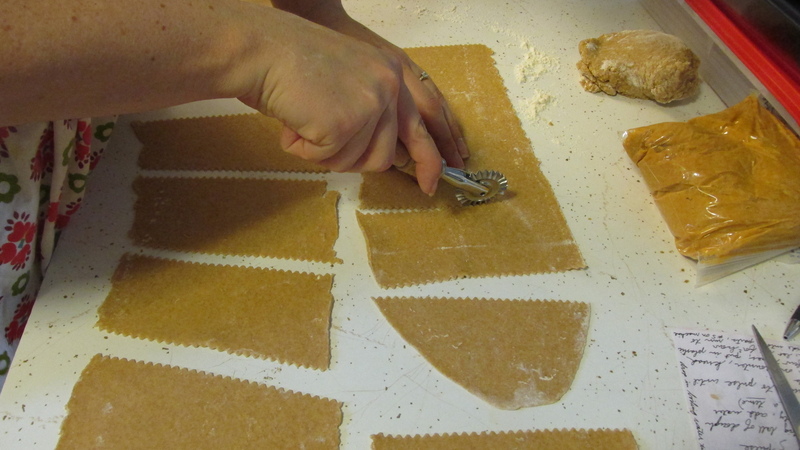 Depending on the thickness (and your oven) they may take longer. 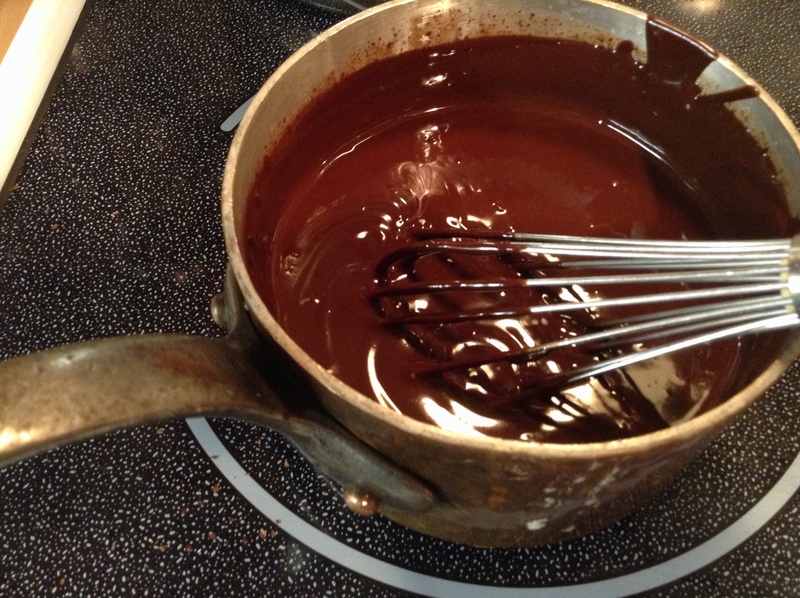 Once done, let cool on the pan/stoneware while you mix the powdered sugar and maple syrup to make a glaze (this is another one I eyeballed, so you may need to adjust the sugar to syrup ratio). Brush onto scones with a pastry brush, and move them to a plate or cooling rack. Or just eat them all at once, still standing at the hot oven; they’re that good. 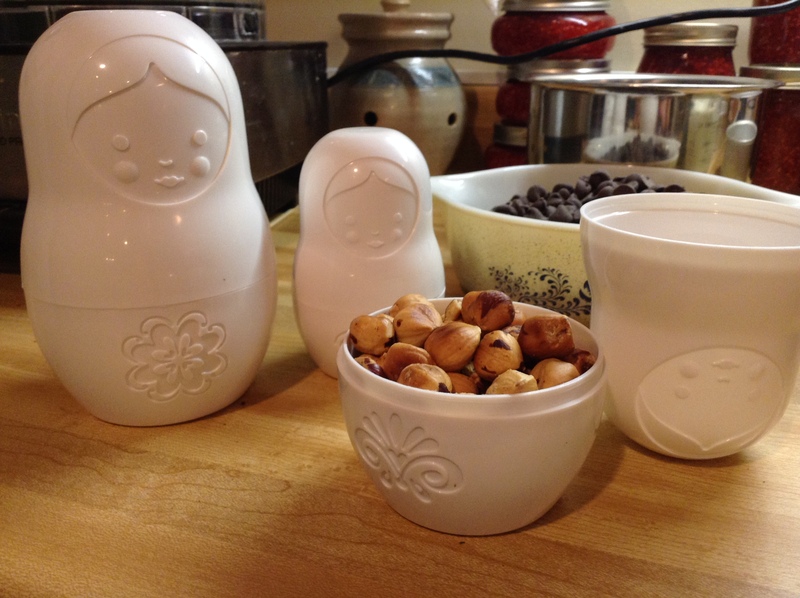 These would go really well with a strong cup of coffee. Keep your pinky tucked in for that one. 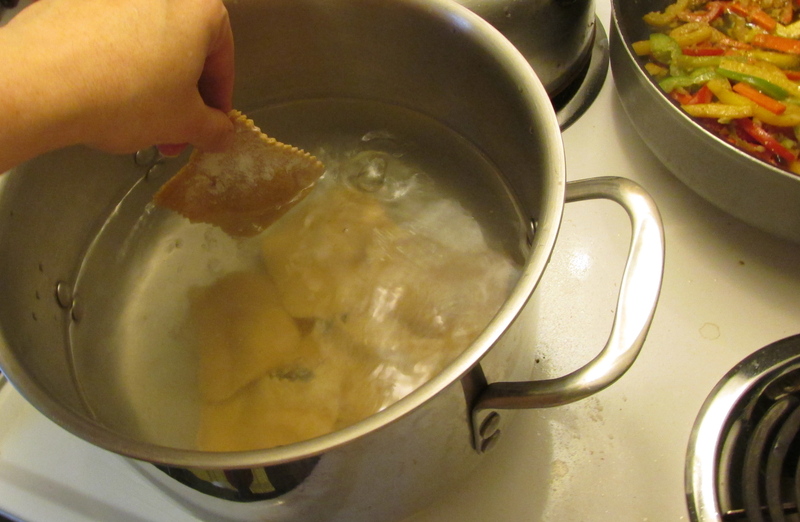 Preheat oven to 400˚F and gather ingredients. 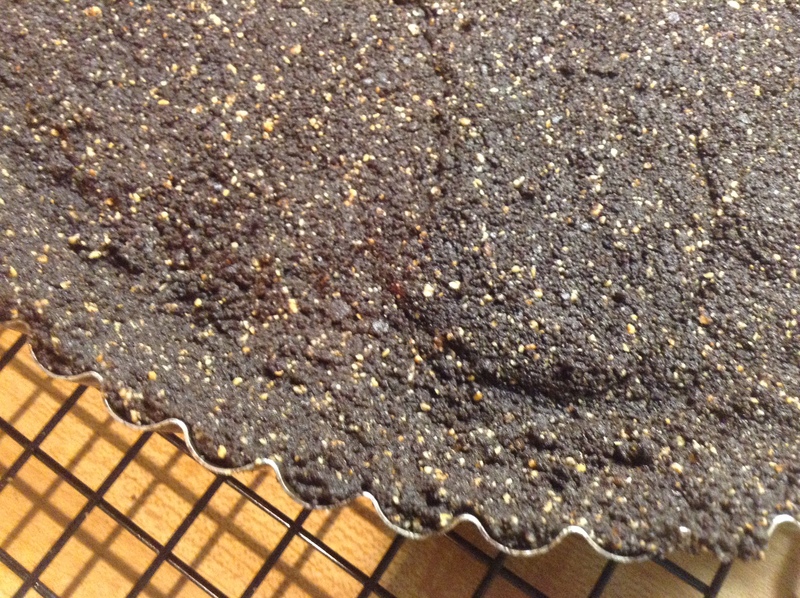 Line a cookie sheet/stoneware with parchment paper. 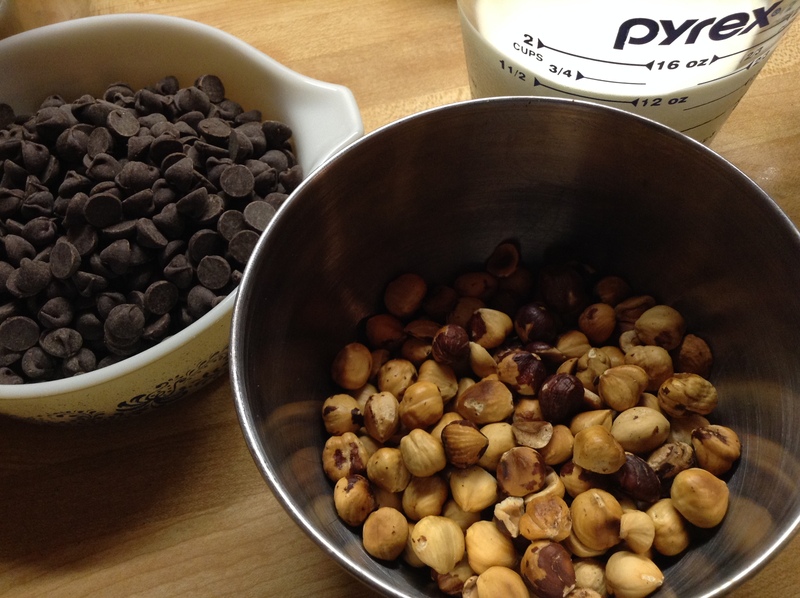 Pulse dry ingredients (excluding add-ins: fruit/nuts/chips) 2-3 times in food processor. 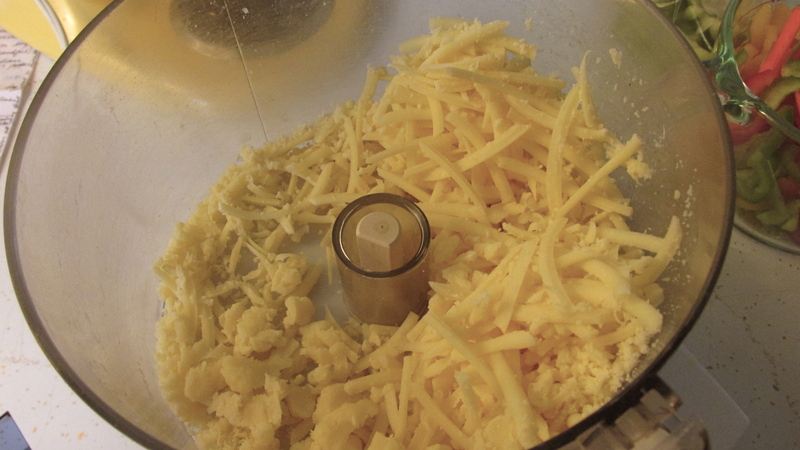 Add cut butter and pulse just until mixture resembles coarse meal, about 4-5 times. 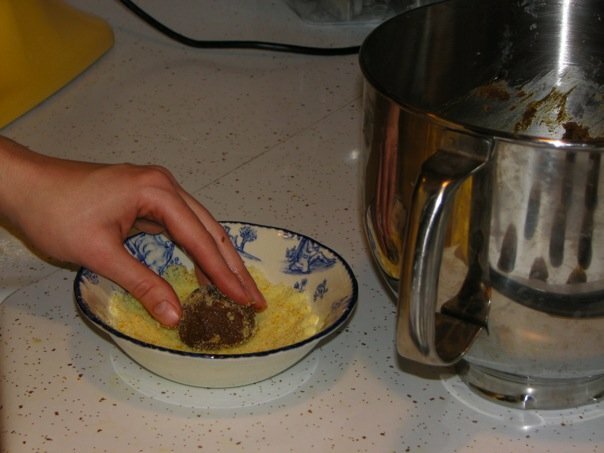 Add wet ingredients and pulse until dough forms into a ball. 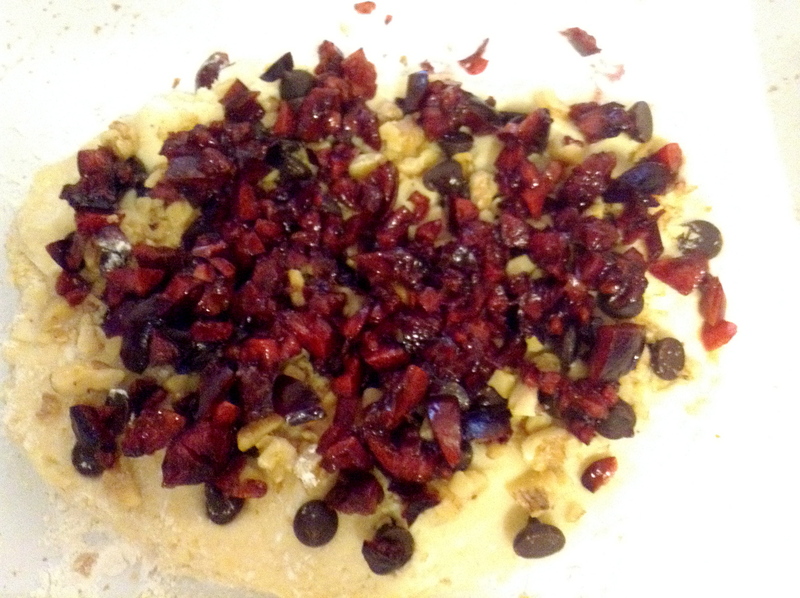 Turn out dough onto floured surface, gently fold in fruit/nuts/chips until just incorporated. 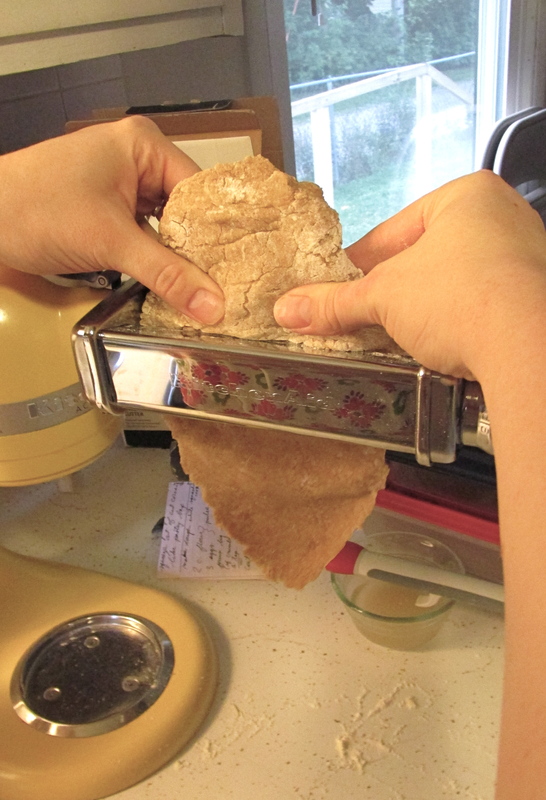 Do not over-knead; press dough to roughly 1/2 inch thickness. 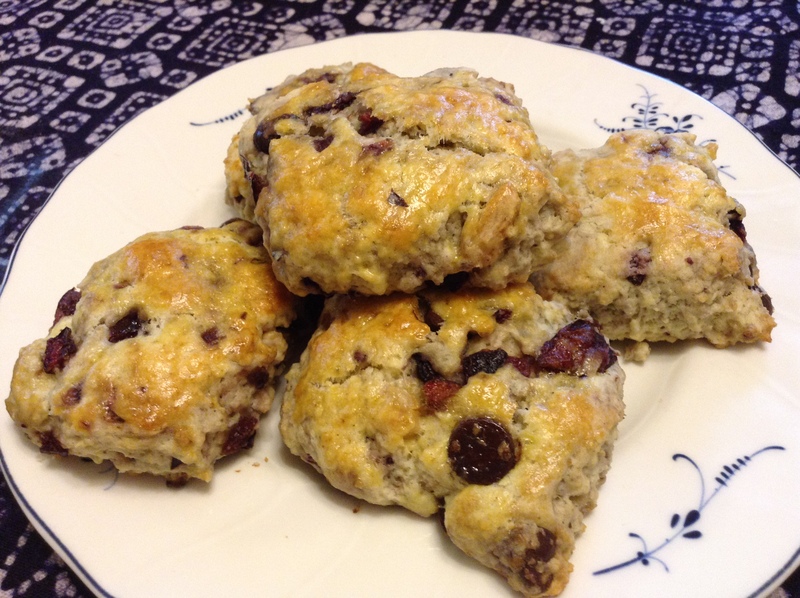 Cut scones into desired shape/size, place on parchment lined pan. Brush with reserved egg wash.
Bake for 10-15 minutes, or until done. (Optional) Prepare glaze while scones cool on the pan, brush glaze onto scones. 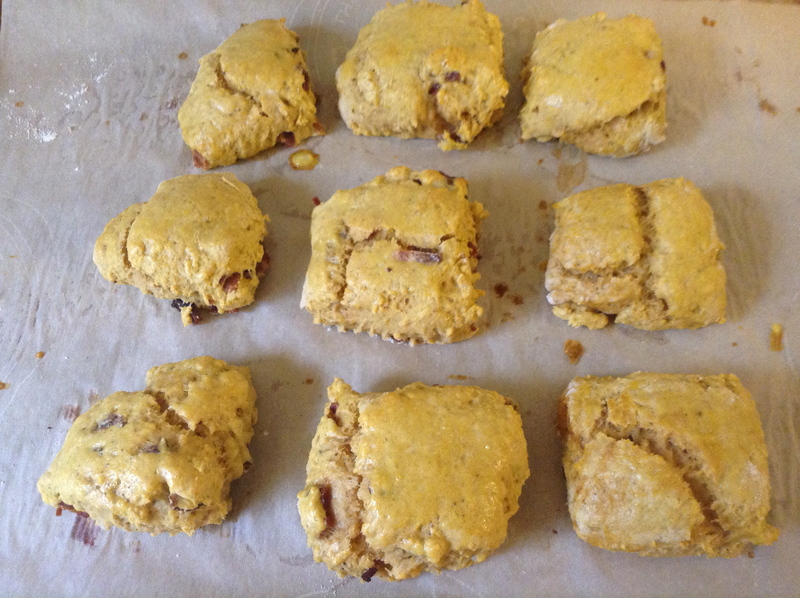 Move scones to a plate or cooling rack to finish cooling. 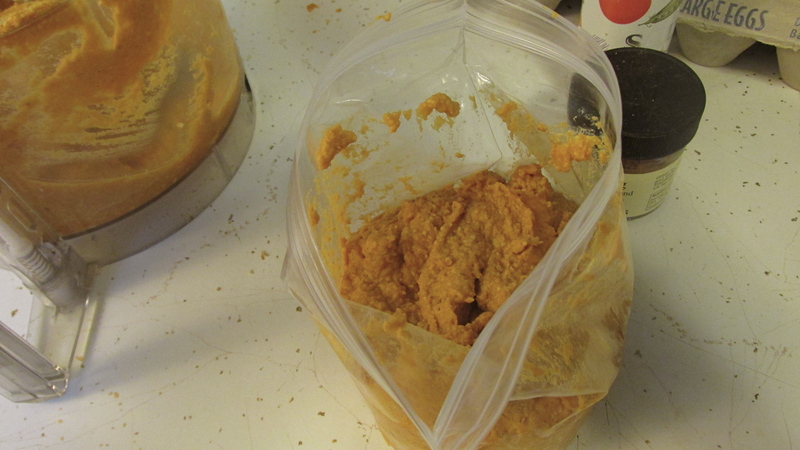 Once fully cooled, store in a covered container (plastic wrap on a plate works, too). 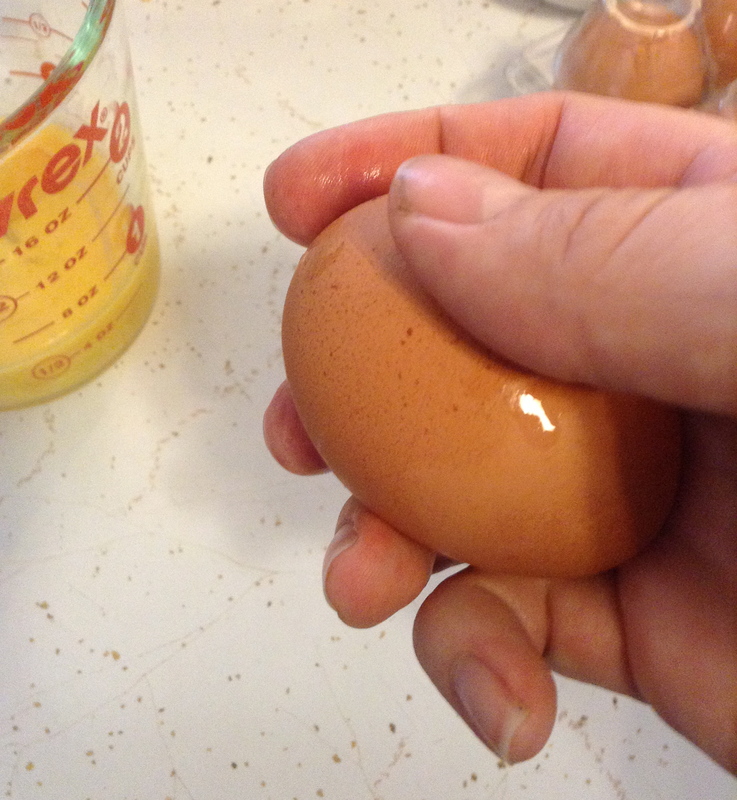 Hold the egg in your hand like so: pointer finger on top, thumb and middle finger at the middle, ring and pinkie finger sort of cradling the side/bottom. 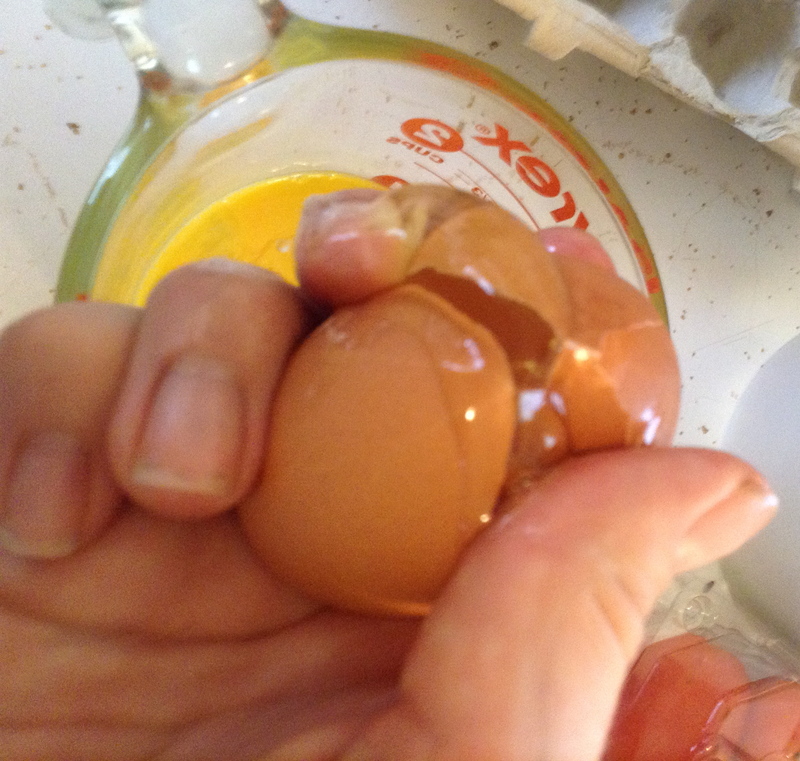 Crack the egg on a flat surface (the countertop is perfect); NOT the edge of anything ever. 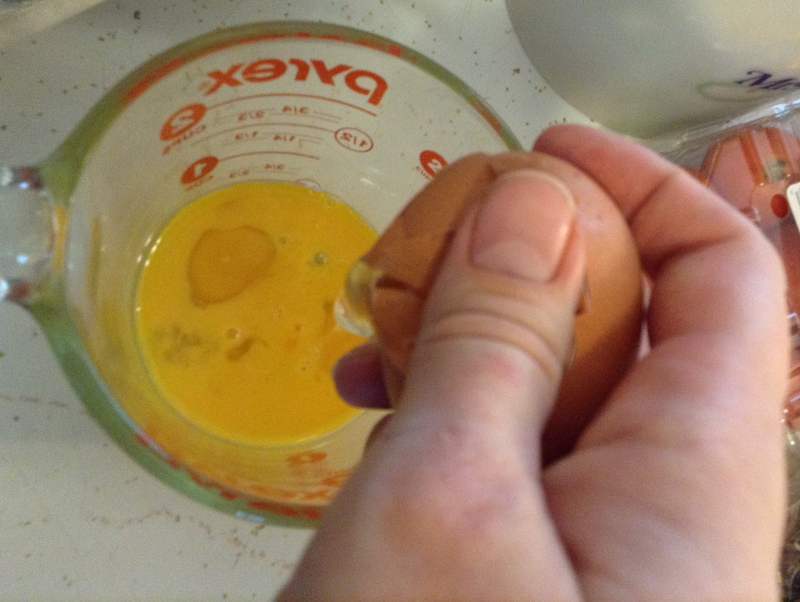 Using your thumb and middle finger, gently squeeze the egg over your measuring cup/small bowl. Then, you know that hand motion people make (not the rude one) to signify money, or that something is expensive? You know the one, kind of rubbing your thumb back and forth along your finger tips. Well pretend you’re doing an exaggerated version of that but with an egg in your hand. 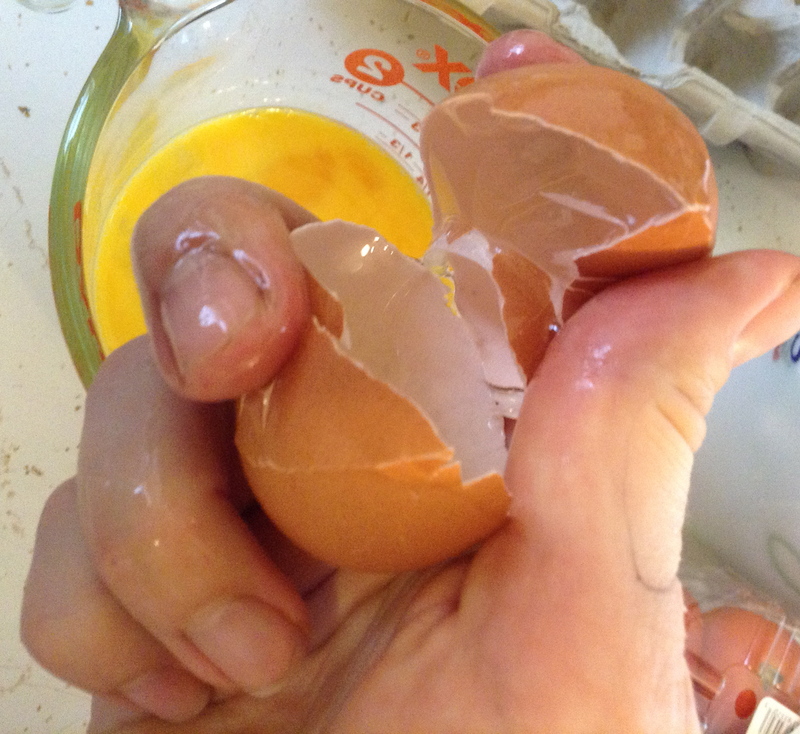 Use your middle finger and thumb to apply just enough pressure while pushing away from each other to open up the egg shell and let the egg inside fall into your bowl or measuring cup. Now do this every. single. time. you need to break open an egg, and soon enough, you’ll have a cool trick to show your friends when you invite them over for some amazing scones. Posted in Breakfast, how to... and tagged bacon, cherry, chocolate chip, crack an egg, knife skills, maple glaze, pumpkin, scones, walnut. Bookmark the permalink.